This is the second in a series of posts on East Ghouta (Damascus); the first, providing essential background, is here. The logic of the siege warfare pursued by Syria and its allies has been to cordon off areas under rebel control; to restrict, disrupt and ultimately prevent movement across the siege lines (including food, fuel and medical supplies); to subject the besieged population to sustained and intensifying military violence from aircraft, ground ordnance (artillery, missiles and mortars) and sniper fire; and to outlaw the provision of medical aid to those inside the besieged areas and limit the evacuation of the sick and wounded. You can find more on the reincarnation of siege warfare as a tactic of counterinsurgency in later modern war here, here, here and here. 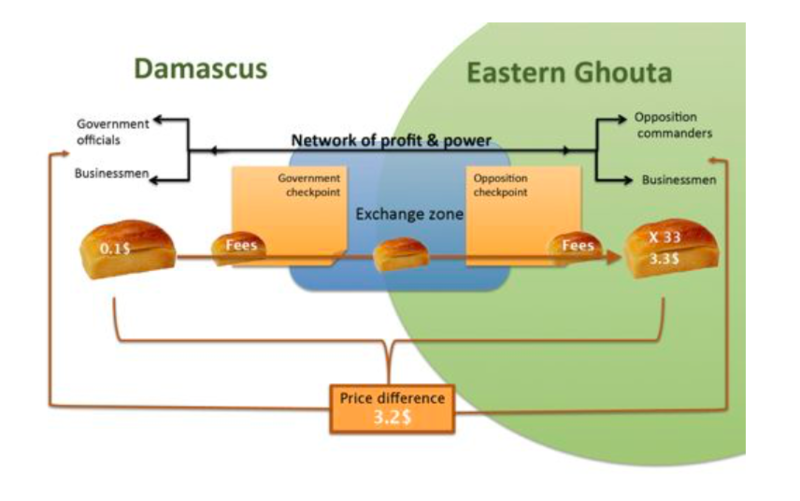 In this post I examine the siege economies that emerged in East Ghouta from 2012 and their transformation over the next six years (to March 2018). As the clashes intensified the Syrian Arab Army (SAA) and its allies established a series of checkpoints in November-December to regulate the movement of people and supplies between Damascus and East Ghouta, though Amnesty International reported that anyone crossing ‘ran the risk of being detained or shot by government snipers’ and there were also reports of goods being confiscated or pilfered. 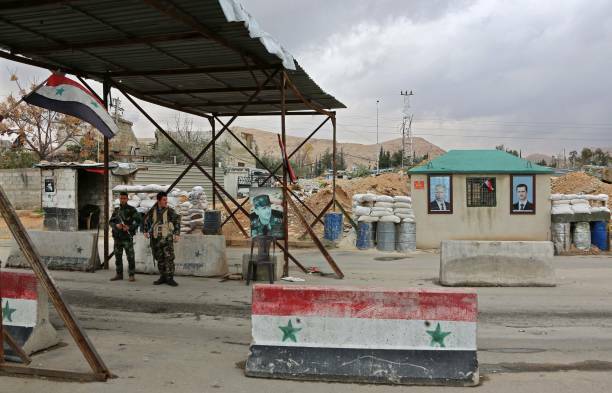 Access to those crossing points was also controlled from within the besieged area by armed opposition groups whose actions affected both entrance and exit. What did it mean that we were trapped? Then stores’ shelves gradually went empty. Food, fuel, the most basic essentials … everything began to vanish. But some trucks were still allowed through a third crossing point at al-Wafideen, and the ensuing geography of closure was intricate. A series of semi-clandestine routes was established between East Ghouta and the suburban towns of al-Qaboun and Barzeh on the other side of the Damascus-Homs highway; an uneasy truce was concluded with rebels in those two towns in January and February 2014, and these routes became vital conduits for smuggling goods into East Ghouta. Lighters, batteries, light bulbs and any other electrical devices are forbidden. Salt and citric acid, which may be used in the manufacture of explosives, are also forbidden. Gas, milk bottles, and diapers are allowed through if the family carries around the proper documentation in which checkpoint transits are recorded by date, to prove they are not smugglers. However, all these regulations frequently fell silent by paying a bribe at the Barzeh checkpoint. Salim, a 13-year-old young merchant of sugar says: “They beat us and chase us when the main officer is present.” He went on to explain how his sales decisions are driven by what he can or cannot afford to pay at the checkpoint. His profit per kilogram of sugar is 100 Syrian pounds (SYP), or $0.20 on the black market. He can carry eight kilograms of sugar, and he dips into his profits to purchase a pack of cigarettes for the security officers to allow him through their inspection. The cigarette pack costs 300 SYP, or $0.60. That means he ends the day with less than 500 SYP of profit, which amounts to one US dollar. On 17 February 2017 the Syrian Arab Army backed by the Russian Air Force opened a new offensive against al-Qaboun (below) and Barzeh and eventually sealed them off from the Ghouta. The only route that remained open was the al-Wafideen crossing; it had been subjected to intermittent, temporary closures, but on 21 March 2017 it too was finally sealed. The siege of East Ghouta immediately became absolute until the cordon was breached by the renewed SAA offensive in February 2018 and, the following month, by evacuation corridors for the besieged population. Since the Al-Wafideen crossing closed in September, all food supply routes to eastern Ghouta have been completely closed. Food prices have soared as a consequence, with particularly grave consequences for the poorest and most vulnerable people. During the WFP market assessment conducted in Kafr Batna (in eastern Ghouta) at the end of October, the remaining food stock was found to be very limited, with severe shortages of staple foods such as rice, pulses, sugar and oil. Based on the market assessment data, the cost of the standard food basket in October 2017 reached SYP327,000, which is 204 percent higher than in September and more than five times higher than in August 2017 (before the crossing closed). 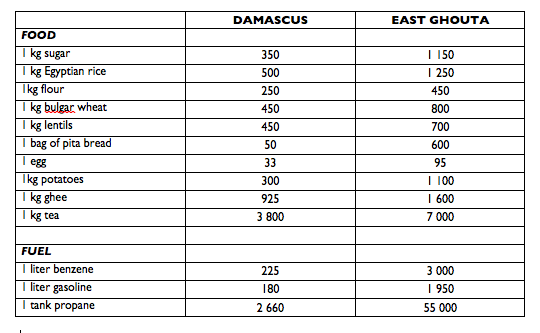 The eastern Ghouta food basket currently is almost ten times more expensive than the national average. 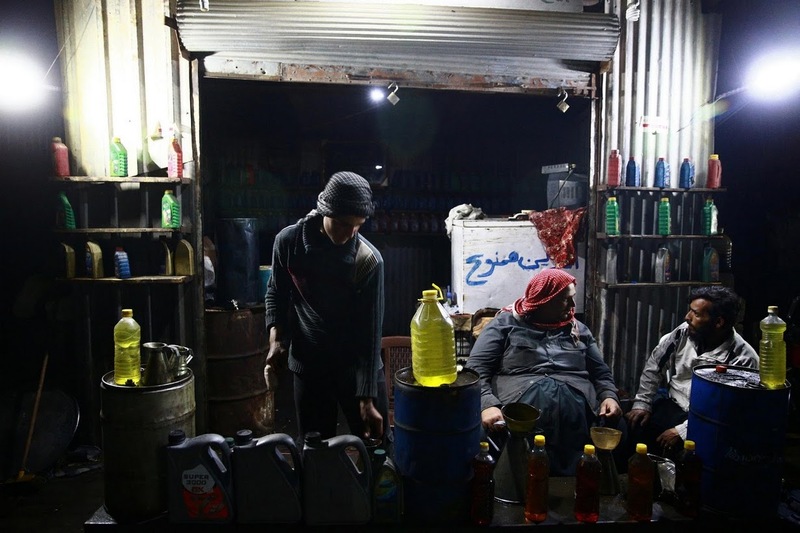 According to key informants, the only available cooking fuel in eastern Ghouta is liquid melted plastic, which costs SYP 3,500/litre – ten times more than the national average price of diesel. Some households also reported burning animal remains and even used diapers to boil vegetables. A bundle of bread in Kafr Batna is being sold at SYP2,000, which is more than 35 times the average price in accessible markets. Food security is likely to deteriorate rapidly in the coming weeks if the siege continues. It is estimated that food stocks will be totally depleted by end November 2017. Faced with the shortages and high prices imposed by the siege, the people of East Ghouta had limited resources to fall back on (see my previous post here), and these contracted sharply after the Syrian Arab Army finally seized control of the rich agricultural lands in the south of the Ghouta (the Marj) in May 2016, near the start of the harvest season. People throughout the besieged area were forced to improvise and to devise ever more exacting economies. The sight of a woman weeping as she drags her malnourished children into a clinic is not rare in eastern Ghouta…. But when one mother told Abdel Hamid, a doctor, that she had fed her four starving children newspaper cutouts softened with water to stop them from screaming into the night, even he was stunned. “I could try to describe to you how terrible the conditions are in which we are living, but the reality would still be worse,” [he] said. My girls take turns eating now. We barely have any food so each one eats one meal every three days. It breaks my heart because they go to bed hungry and wake up with no energy. Due to the lack of available food and the high food needs, a food basket meant to support a five member household for a month [supplied by the UN] is being shared among six different households (approximately 30 people). Due to lack of staple food commodities and severe shortfall of cooking fuel (firewood, diesel and gas) in addition to their high prices, residents have been reduced to subsist on raw vegetables such as maize corn, cabbage and cauliflower with no more than one meal per day. In many households with multiple mouths to feed, priority is given to children with adults often skipping entire days without eating. Some households are even resorting to rotation strategies whereby the children who ate yesterday would not eat today and vice-versa. 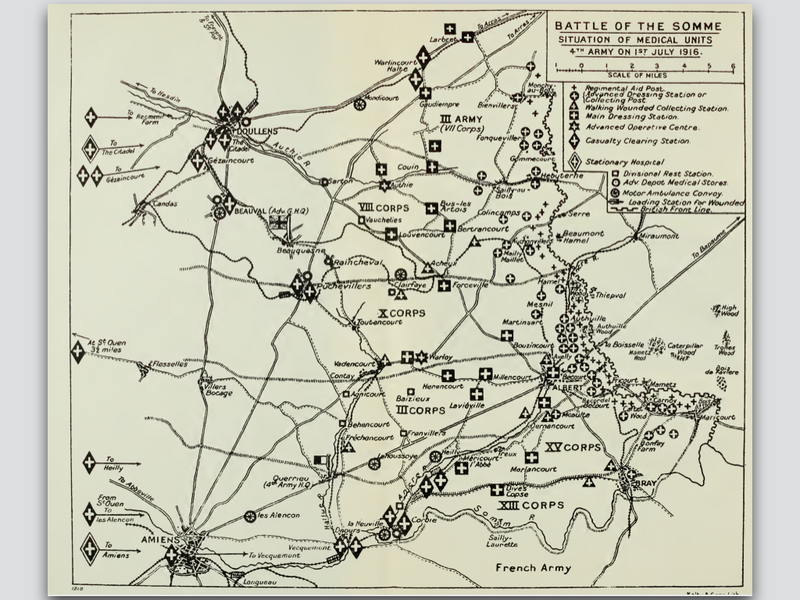 Three months later, once the offensive started in deadly earnest, the situation deteriorated still further. By March 2018, when thousands of people were huddled in basements and cellars sheltering from the incessant bombing and artillery fire, some of those that could find food were reluctant to eat in front of other people in the face of such widespread hunger. Others shared what little they had. “The blockade has forced us to find alternatives, especially in towns like al-Buwaidah, hijjera, and al-Sbeneh, where all the surrounding farming lands were destroyed, and many farmers were killed,” said Ahmad Abu Farouq, a 19-year-old who lives in Ghouta with his family of nine. Ahmad said he and his family have turned their 1,600-square-foot (150 sq meter) rooftop into a year-round farm, planting zucchini and pumpkin in the winter, and lettuce and parsley in the summer [see the image below]. “I throw in a mix of eggplant, peppers and cucumbers when I can,” he added. Eastern Ghouta is frequently and heavily hit by government airstrikes. 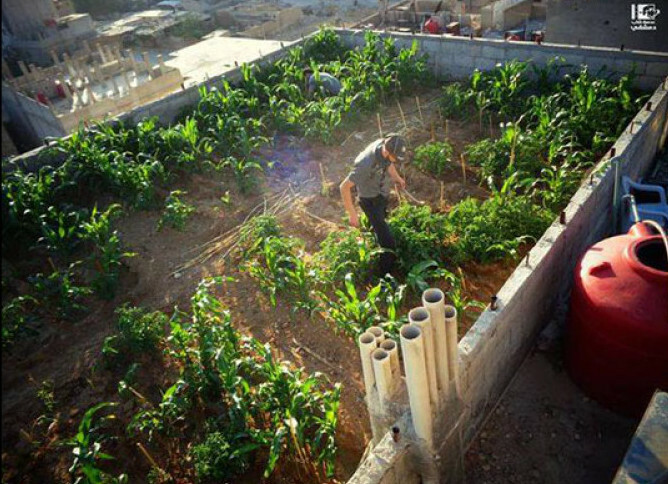 To protect themselves and their crops, according to Ahmad, most people who have chosen to take up alternative farming find ways to hide their box planters so as not to make them entirely visible from up above. So fuel was a second major concern, but there too there were improvisations. 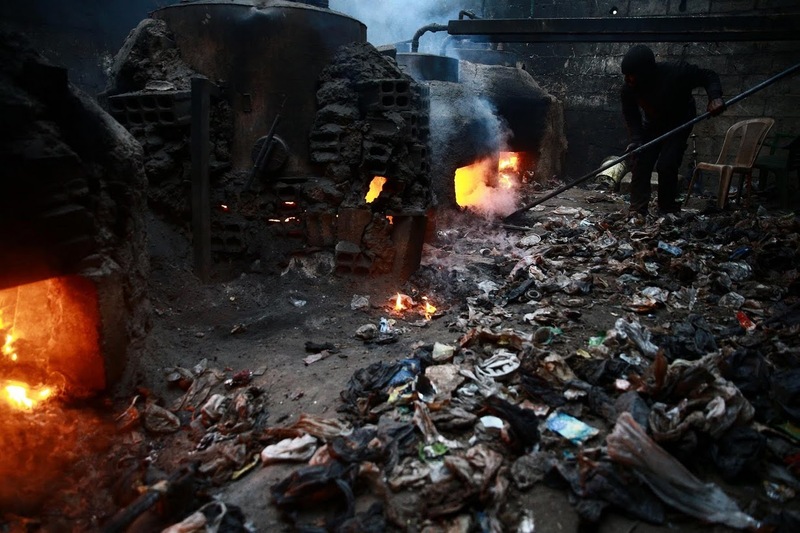 Mark Hanrahan and Bhassam Khabieh described an elaborate scheme in Douma to convert plastic waste into fuel. Using methods he learned from YouTube videos, Abu Kassem and his family collected plastic bottles, rubble from damaged buildings, plastic cooking utensils, even plastic water and sewage pipes; they burned them all in a makeshift refinery, and sold the gas for domestic and commercial use or condensed the gas and refined the liquid into fuel for generators and vehicles. “Working here is very tiring, but we feel that we are providing a great service to people. I have been working here for a short time and have begun to adapt to the atmosphere here,” said Abu Ahmed, 28, [one] of the workers. After Talal and his team gather the plastic, they cut it into smaller pieces and put 50 kilograms in each barrel, along with 20 meters of piping to cool the water that runs in and out of the barrel. They contain narrower tubes, which contain the fumes that come from the burned plastic. Then they light a fire. “Gasoline reached the price of 4000-4200 Syrian Pounds ($20-$21), and the amounts available were minimal. However, we found a substitute by heating plastic and extracting methane, gasoline, and diesel. There were other manufactories too: there is a remarkably detailed analysis of the manufacture of weapons by Jaish al-Islam here, including improvised mortars, rockets, grenades and rifles. But my focus here is on those resources basic to civilian survival in the besieged area. 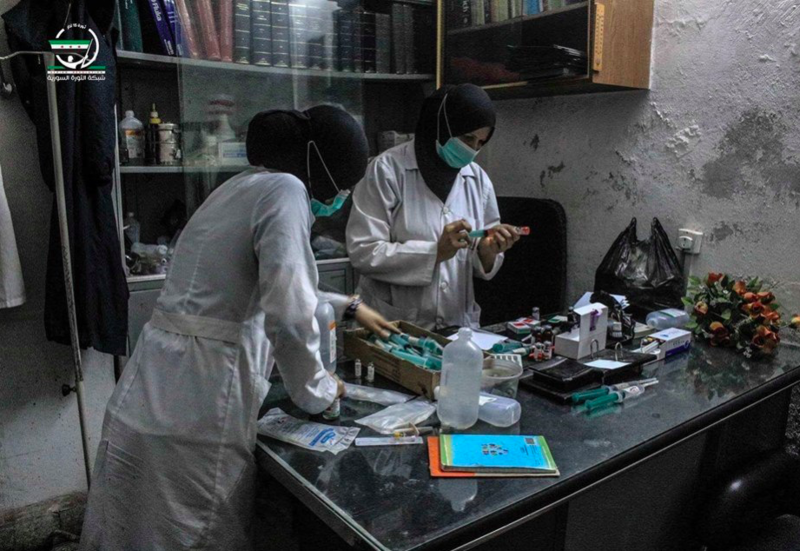 There were all sorts of other substitution strategies in East Ghouta – I’ll deal with the improvisation of medical supplies and anaesthetics in the final post in this series – but the two examples I’ve provided show concerted attempts to devise solutions to the supply shortages and high prices that were the immediate products of the tightening siege. 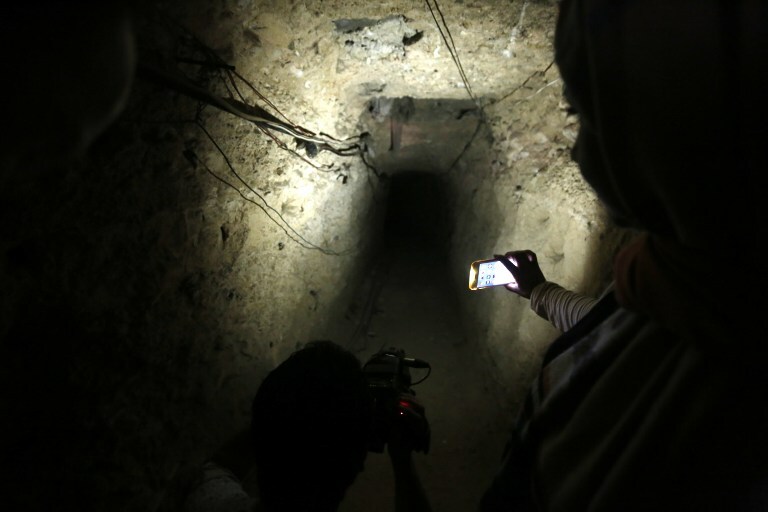 Those economic conditions were also affected by cross-cordon transactions: by merchants who were allowed to bring goods in through the al-Wafideen checkpoint, and by smugglers who (until the offensives against Barzeh and al-Qaboun) operated a series of clandestine tunnels that gave access to markets on the suburban fringe. I’ll consider each in turn, but in both cases there was an elaborate administration of precarity: an apparatus of permissions and permits, exactions and kick-backs, through which the local economy was manipulated and political and (para)military relations were managed. There was another set of cross-border transactions: these were non-commercial flows of humanitarian aid. 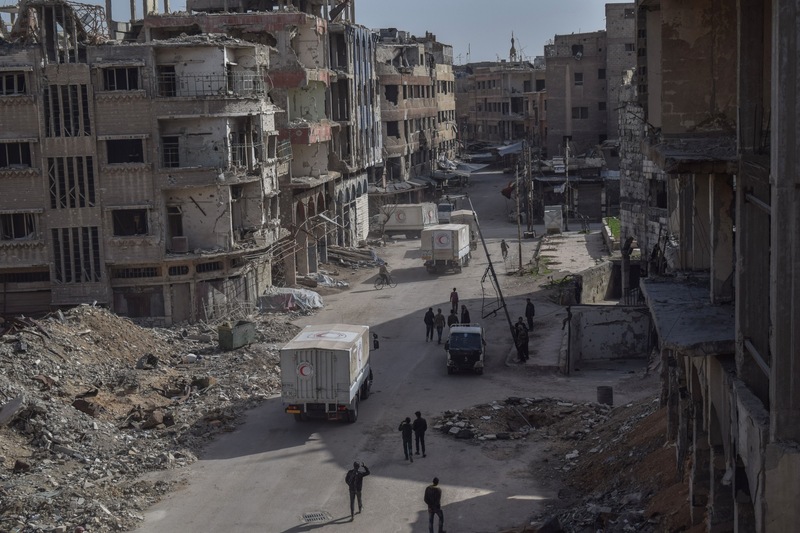 The Syrian government put in place an intensely bureaucratic system to regulate aid convoys which was also part of the administration of precarity. It proved to be (and was intended to be) so restrictive that these flows had precious little sustained impact on economic conditions in Ghouta. But, as I’ll show, these transactions were entangled in a wider and intrinsically partisan geography of precarity that magnified the marginality of Ghouta and effectively enlarged the power of the regime to dictate the terms of its ‘surrender or starve‘ strategy. 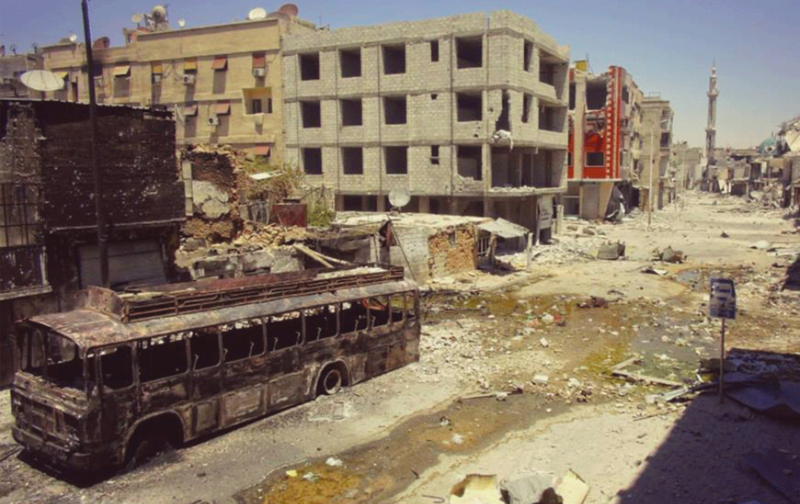 By April 2013, you were not allowed to take any food into Eastern Ghouta. Security forces would beat women and men when they found bread or vegetables hidden in the boot of the car or under clothes. As I passed by a checkpoint, I remember seeing food piled up and people being beaten up or humiliated. 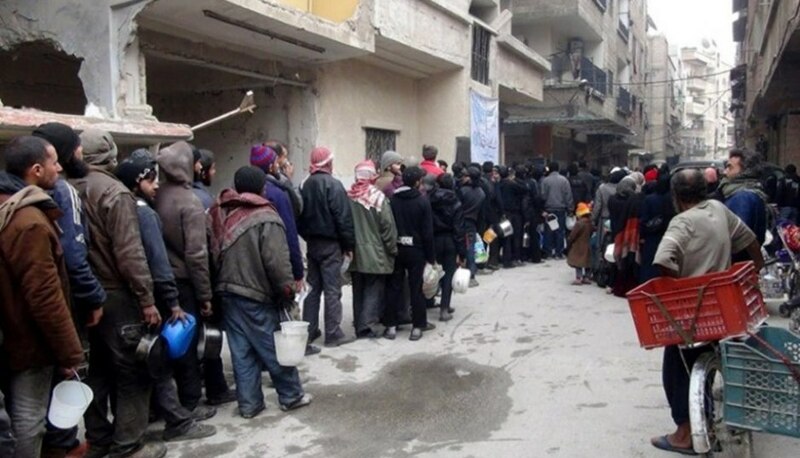 The Syrian authorities did not allow any bread, vegetables, fruits, pasta, sugar or eggs to enter. As individual transactions were banned, so selected merchants were allowed to organise much larger shipments. The al-Wafideen crossing became the most important external source of food and fuel for East Ghouta – often described as the ‘lung’ through which the Ghouta breathed – and the central figure in commercial transactions through the checkpoint was Mohyeddin al-Manfoush (‘Abu Ayman’), one of what the Economist called ‘Syria’s new war millionaires’: the ‘dairy godfather’. He began to bring cheap milk from rebel territory in Eastern Ghouta to regime-held Damascus, where he could sell it for double the price. The regime received a cut of the profit. Mr Manfoush reinvested his share. He snapped up the region’s best cows and dairy machinery from farmers and businessmen whose livelihoods had been hammered by the siege. As the business evolved, the trucks that left Ghouta with milk and cheese came back laden with the barley and wheat he needed to feed his growing dairy herd there and run the bakeries he bought. It was immensely profitable; with a captive market of 400,000 people and runaway prices Manfoush not only expanded his business (under the umbrella Manfoush Trading Company) but also moved to a new house in Damascus and even established his own private militia. Since the end of 2014, the Army of Islam [JAI] has controlled the supply route from al- Wafedine camp and Ajnad al-Sham, the underground tunnels in Harasta. The Army of Islam is responsible for regulating the prices. During the winter, the Army of Islam collects most of the food supplies from the market, increasing the prices threefold. You sleep one night and wake up the next day to find there is no food and prices are high. The Army of Islam in collaboration with suppliers store food and non-food items in [its] warehouses. 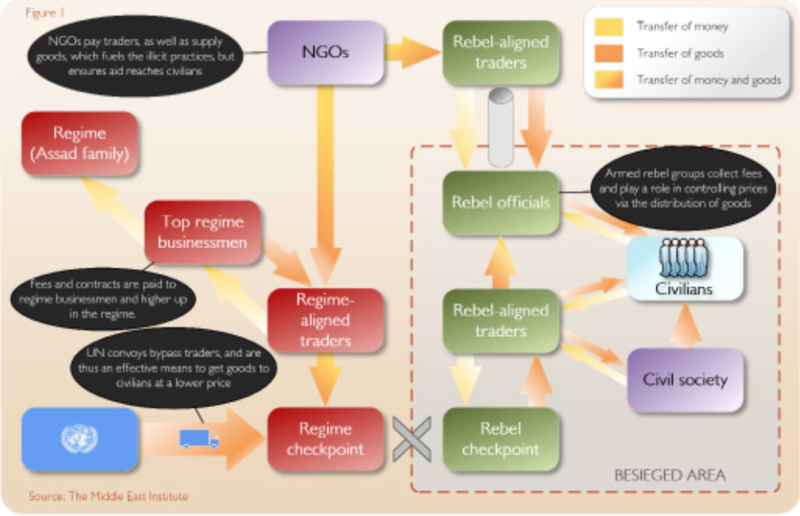 Siege Watch was even more blunt in its assessment for May-July 2017: ‘the corrupt trading monopoly run by al-Manfoush at the al-Wafideen checkpoint lined the pockets of the Syrian miilltary and JAI’. Apart from the Wafideen Crossing, the Eastern Ghouta has been supplied through a system of secret tunnels and semi-informal frontline crossings. While the crossings can bring in a far greater volume of trade, the tunnels serve to import goods that are restricted or banned by the government (including fuel, medical supplies, and arms), to move people in and out of the enclave, and to challenge and undercut food prices set by the Wafideen monopolists. “When we first started digging tunnels, we faced many difficulties; however, we found solutions and continued the operation. For example, we pumped oxygen at certain points inside the tunnels, which is very important for the workers. We also set up pillars inside the tunnel to prevent them from collapsing over the workers, which had happened often earlier, and killed and trapped many workers for many hours before we could rescue them,” said Abu Mahmoud. There were five main tunnels (I’ve taken most of these details and the maps from a report by Enab Baladi‘s Investigative Unit on ‘The economic map of Ghouta‘). 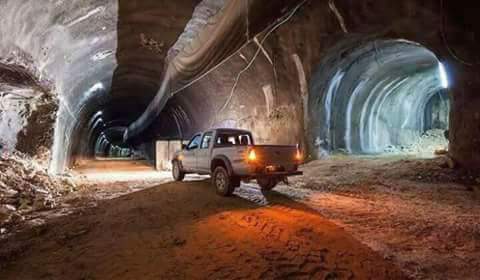 The first (the Zahteh or Central Tunnel) ran 800 metres from Harasta under the Damascus–Homs highway to Qaboun; construction was started by Fajr al-Umma towards the end of 2013, and the tunnel opened the following summer. It soon emerged as ‘the primary [clandestine] artery for the Eastern Ghouta’s siege economy’. In May 2015 two other rebel groups, Failaq al-Rahman and al-Liwan al-Awwal, dug the so-called ‘Mercy Tunnel’ from Arbin to Qaboun; this was much longer than the previous two (2,800 metres) and wide enough to allow the passage of cars and even Kia 2400 trucks. In June 2015 Jaish al-Islam constructed a 3km tunnel from Arbin and Zamalka to Qaboun; it too was wide enough to accommodate small trucks. 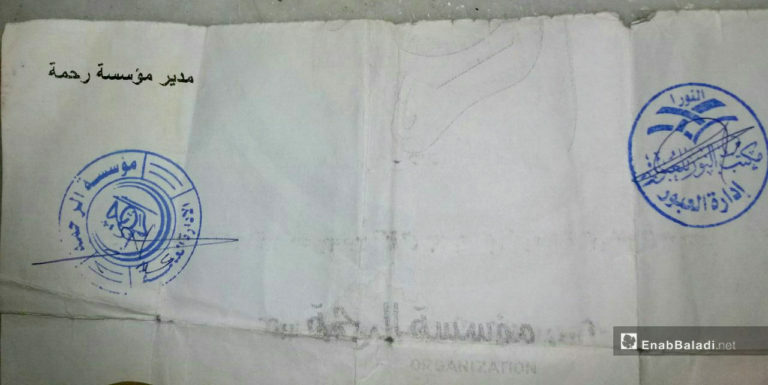 In September 2015 Falaq al-Rahman joined with Jabhat al-Nusra in Qaboun to establish a third tunnel under its control, the ‘Nour [Light] Tunnel’, from Arbin to Qaboun for foot traffic only. 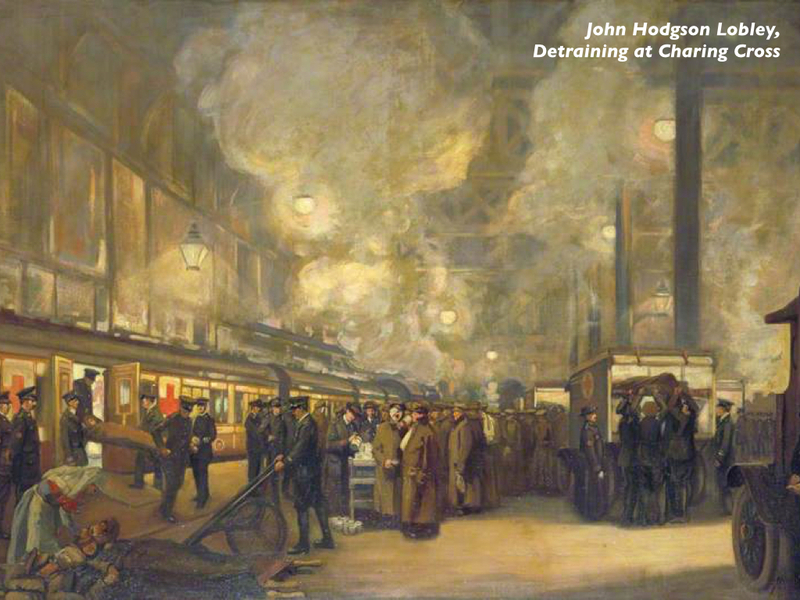 The main cross-line tunnels were used for multiple purposes too: but commercial traffic was always an important consideration. I describe this as commercial not only because the goods were sold at stores inside Ghouta but also because the tunnels provided the groups that controlled them (often through nominally civilian front organisations or ‘foundations’) with income and resources. This caused considerable jockeying between them; Aron Lund provides a superbly detailed analysis of the rivalries, deals and counter-deals that ensued. Those passing through the tunnels must be born before 1970, since the factions are in need of young fighters. The person passing must provide clearance from the Unified Judiciary, to prove that there are no cases outstanding against him or her, and a clearance from the Housing Bureau. Fighters must provide an official permit (below) from their faction. All documents must be submitted to the Crossing Office, which will assign the person a date to pass. Medical emergencies are exempted from the waiting period, but must provide a report from the Unified Medical Bureau. Under no circumstances are weapons allowed to leave Ghouta. No goods other than clothes and basic supplies are allowed (not to exceed two bags). The process of applying to use the tunnel, he said, was strangely bureaucratic for such a risky method of escape: He submitted an official request at a Jaish al-Islam office and was informed two weeks later that it had been granted… [He] and three other families granted access to the tunnel started their journey on a bus from the city of Hamouriyya. “The bus took us to the city of Arbin. In Arbin, the bus took side streets, so that we wouldn’t be noticed. We finally arrived at a house where our identification cards were checked, and our luggage was searched. We were told that we had to be very careful, so no one would discover where the tunnel was,” he said. These rules were never set in stone, still less once the co-operation implied by the ‘Unified Medical Bureau’ and the ‘Unified Judiciary’ [established in the summer of 2014] broke down and in-fighting between the groups controlling the tunnels became commonplace. Despite the age restrictions, some of them were willing to allow young people to pay for a permit: the cost varied between 100,000 and 200,000 Syrian pounds. If they wished to escape Qaboun or Barzeh, they would then pay further bribes to the soldiers and security officers controlling the regime’s checkpoints into Damascus. I received no care at hospitals [in Damascus] so I relapsed and the tumour returned to its previous status. I decided to go back to Eastern Ghouta through the same tunnels to have the chemical doses. 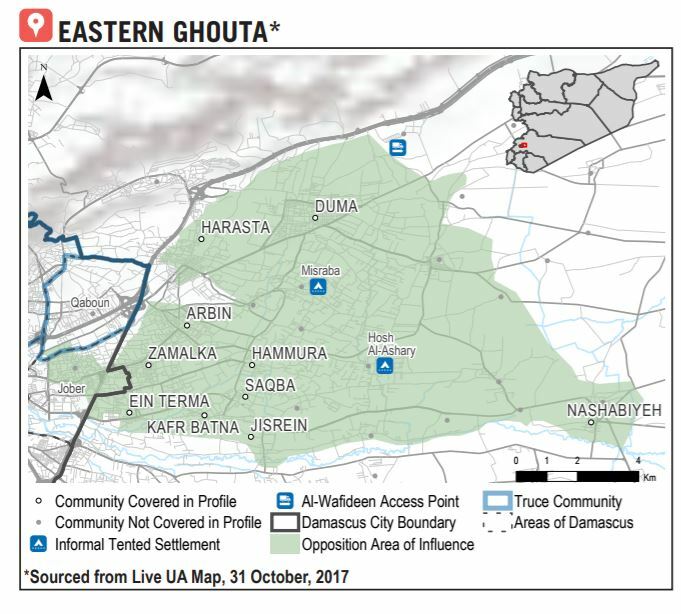 Now, as access to Damascus has been cut off, the 35,000 civilians inside Barzeh have extremely limited access to healthcare, and must travel to East Ghouta to obtain treatment. Even the dialysis patients in Barzeh are traveling to East Ghouta [via the tunnels] to obtain treatment with the extremely limited supplies. 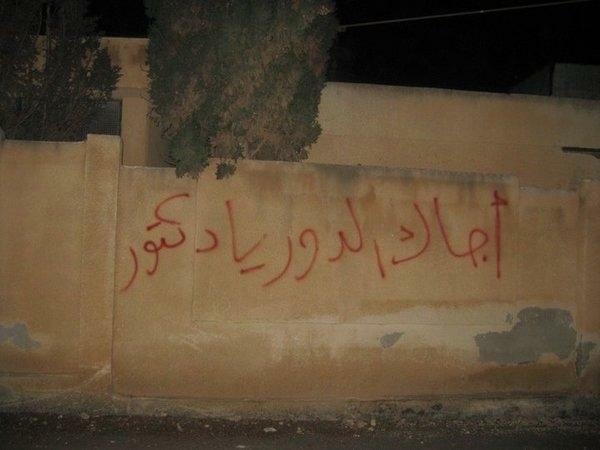 It appears that Nusra’s goal is to reduce the suffering of the besieged residents, who had begun cursing the revolution and the rebels because of Falaq al-Rahman and Fajar al-Umma keeping prices high. All factions want to build up their popular support, which is what Nusra is doing… Local residents have viewed the drastic drop in prices positively and stood in solidarity with Jabhat a-Nusra when Falaq al-Rahman prevented them from selling gasoline at reduced prices when they were still sharing a tunnel. Similarly, Jaish al-Islam apparently pressured Fajar al-Ummah to lower its prices. It was an intricate and constantly changing story, but running through all these deals was the imbrication of the political with the economic. The attempts to lower prices were all about more than the high-minded desire to ‘reduce suffering’: they were also aimed at boosting support for one faction over another. By the time all the fees are paid, the price of medical supplies in Eastern Ghouta “is three times higher, sometimes as much as five times, than what’s in the north or south of Syria,” said [Mahmoud] al-Sheikh [director of the Unified Revolutionary Medical Bureau in Eastern Ghouta]. A liter of serum, which is used to help the body replenish lost blood, goes for about $1 in regime-controlled areas (one liter is about one fluid quart). But health workers say they’ve paid anywhere from $3.50 to $10 for one liter of serum brought in from Barzeh. [Osama] Abu Zayd [a medical equipment engineer with the Union of Free Syrian Doctors] estimates that Ghouta, with its many neighborhoods, needs about 10,000 liters (more than 2,600 gallons) of serum per month. 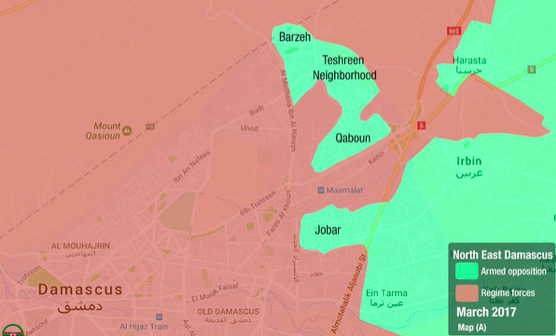 Whatever came through the tunnels, it was never enough, and all three traffic streams came to a juddering halt as the offensive against Barzeh and Qaboun was renewed. During the winter of 2016-17 the regime sought to amend the terms of the truce, stipulating that the smuggling trade had to stop; then in February 2017 it peremptorily closed the checkpoints so that supplies from Damascus dried up, and within days nothing was moving through the tunnels to Ghouta. The fighting that followed was protracted and bloody, and thousands fled through the tunnels to find refuge in East Ghouta. But by the end of February the Syrian Arab Army occupied the warehouse concealing the portal to the Zahteh Tunnel, and by the middle of May, when the remaining opposition fighters in Barzeh and Qaboun had surrendered and the population was forcibly evacuated, all the major tunnels had been breached. The loss of the tunnels triggered panic buying in Ghouta, driving prices still higher, and triggered a new round of fighting between the two major blocs of rebel fighters (Jaish al-Islam based in Douma and Falaq al-Rahman in fractious and as it turned out temporary alliance with Hay’at Tahrir a-Sham, which later became Jabhat al-Nusra, which were based in the so-called ‘Central Section’ to the south and the west). Dozens of recently erected checkpoints and berms split the suburbs [of East Ghouta] in half. For residents trapped inside the Central Section, this means a lack of access to the Wafideen crossing and, therefore, to outside resources. It’s an effective summary but, as I now need to show, the bottom line (sic), in which UN convoys are described as ‘an effective means to get goods to civilians at a lower price,’ is problematic. Like the commercial convoys of merchandise that were allowed in to East Ghouta, humanitarian aid came in through al-Wafideen (above). Unlike the commercial flows, however, humanitarian aid was rigorously policed, strictly limited and utterly spasmodic. 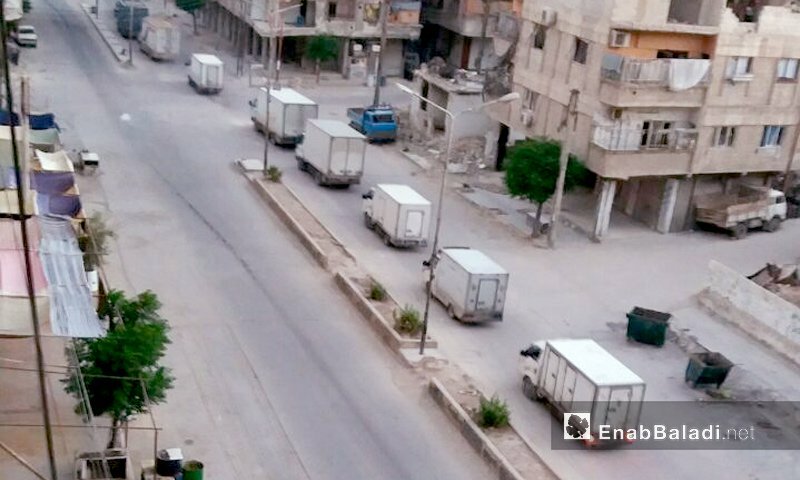 In Douma, for example, which had been under siege since 2013, the first UN interagency aid convoy did not arrive until 10 June 2016 (below). Its 36 trucks provided emergency food, wheat flour, and nutrition supplies for only 17 per cent of the population. 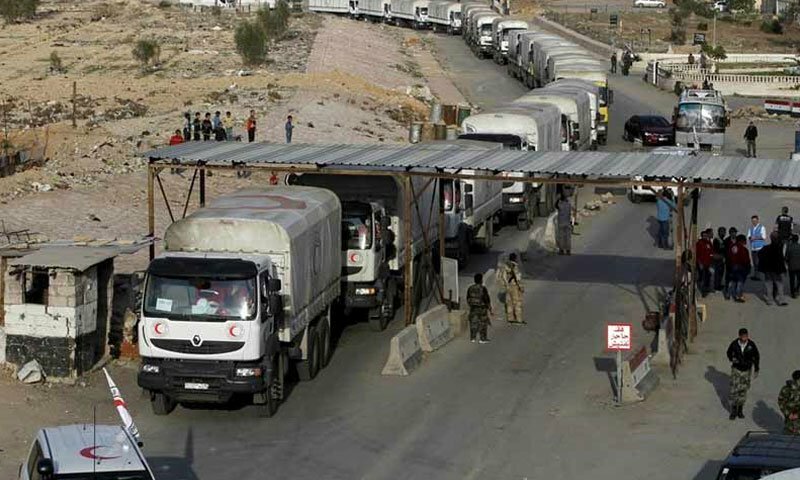 Those stocks were supposed to last for one month, but the next convoy did not arrive until 19 October 2016, with 44 trucks carrying food supplies for 24 per cent of the population (baby milk had been removed at the checkpoint). Those supplies were also intended to last for one month, and a third convoy duly arrived at al-Wafideen with supplies for 49 per cent of the population on 17 November 2016. But the mission was aborted because ‘it lacked specific approval needed to proceed without dog searches and unsealing of the trucks.’ The next UN convoy arrived on 30 October 2017. I have extracted most of these details from a report prepared by Elise Baker for Physicians for Human Rights with the dismally appropriate title Access Denied. 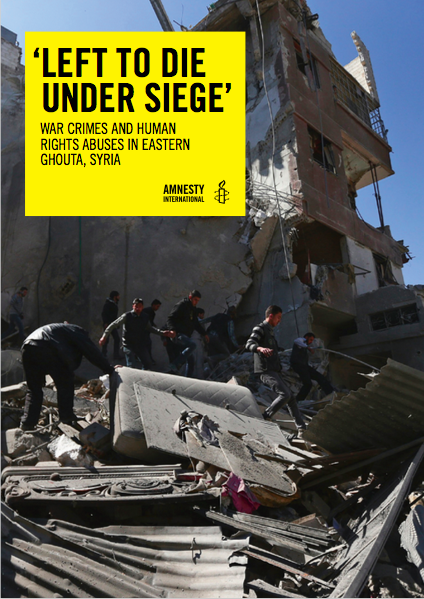 The report describes a system of deliberate obstruction of humanitarian aid by the Assad regime that imposed – by design, remember – ‘slow, painful death by starvation’ on populations in areas besieged by its forces: what the report also calls ‘murder by siege’. There have been two main modalities of obstruction. The first has involved a byzantine process through which UN agencies have been required to obtain formal permission from the government to deliver humanitarian aid. Following the establishment of a joint working group to facilitate (sic) the process in 2014, it was agreed that each convoy would need approval from the Ministry of Foreign Affairs and ‘facilitation letters’ from the Ministry of Social Affairs, the Syrian Arab Crescent and (in the case of medical supplies) the Ministry of Health. The process was described by the UN Humanitarian Coordinator as ‘extremely complex and time-consuming’, and matters were not improved by the introduction of additional clearance requirements from the High Relief Committee and the National Security Office. We continue to be blocked at every turn, by lack of approvals at central and local levels, disagreements on access routes, and by the violation of agreed procedures at checkpoints by parties to the conflict. Are these important? Yes. We can’t – and if I may quote – “just plough on” or “just get on with it” as I’ve heard one member sitting around this say table to me. Because if one brave aid worker drives through the checkpoint without the facilitation letter and the command transmitted down the line, the check-point guard or their sniper takes the shot. The second modality of obstruction was to withhold permission altogether. 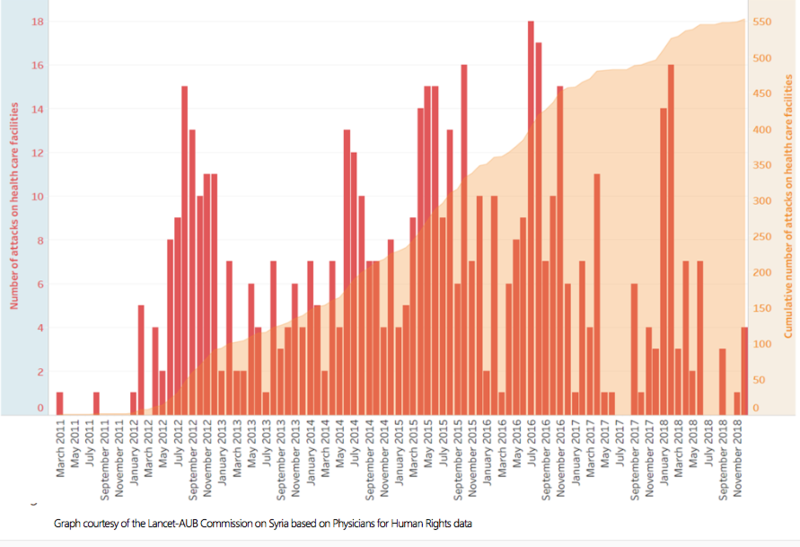 The chart below was compiled for PHR’s Access denied; notice the substantial differences between the populations for whom the UN requested access and the populations for whom access was approved, a difference that was the product of both outright rejection and a calculated failure to respond. 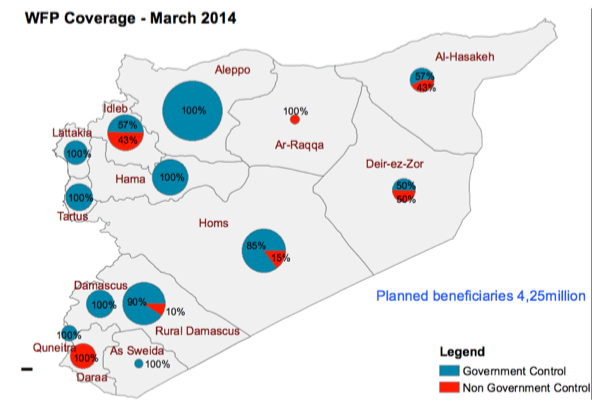 From May through December 2016, on average, Syrian authorities authorized UN interagency convoys to deliver aid to approximately two thirds of the besieged and hard-to-reach populations that UN authorities requested access to each month – a figure which, in itself, represents a fraction of the entire besieged and hard-to-reach population. 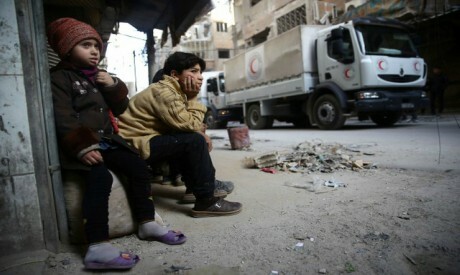 However, UN convoys only reached 38 percent of that smaller approved population, due to additional approval procedures and other delays imposed overwhelmingly by government officials… At worst, this pattern reflects an effort by Syrian authorities to appear cooperative while still ensuring that access to besieged areas remained blocked. Volunteers gathered to help offload the aid from the trucks, including WFP’s wheat flour which the men were offloading into underground cellars. Speaking with the local council, we learned that there were more than 200,000 people in Douma, many of them displaced from nearby villages and other areas within Eastern Ghouta, and all of them needing food and medicine…. There we met Mustafa, a man in his twenties. “The food aid trickles in very slowly, drop by drop. Many families here are struggling. I hope whoever is hungry gets help,” he said. 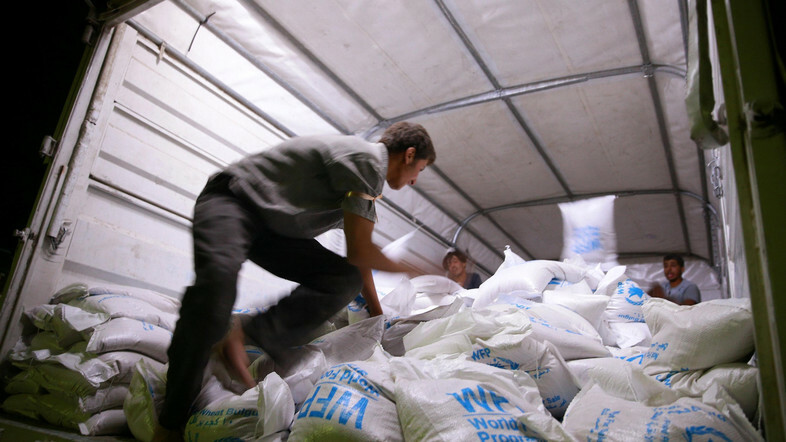 Because of the increasing demand for food and limited quantities allowed inside, residents of Douma have had to split the food assistance WFP delivered during an earlier convoy in order to reach as many people as possible. 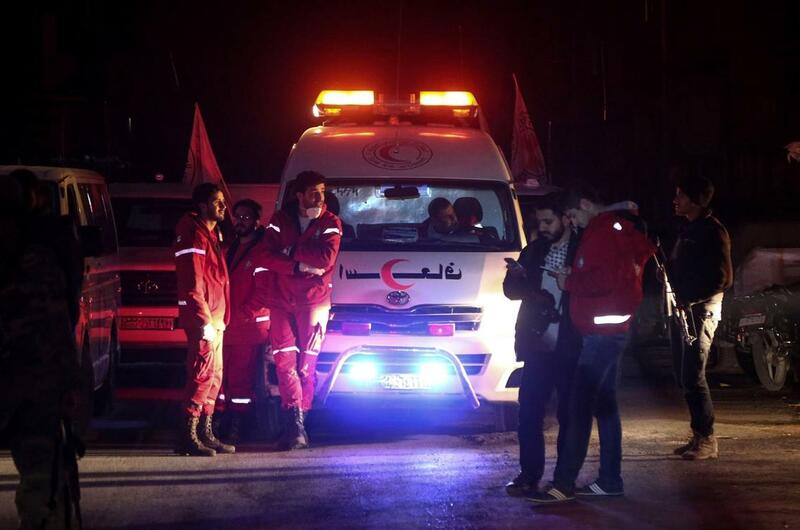 The convoy took place at the height of the final military offensive against the Ghouta: yet the World Health Organisation said that Syrian government officials had ordered the removal of 70 percent of the medical supplies it had prepared for the convoy, including all trauma kits, surgical supplies, dialysis equipment and insulin. We were spied on, followed, our computer traffic was monitored, our notebooks stolen, they knew what we were doing. I’m not sure anyone appreciates how hard all of this was . . . the daily grind of getting a tiny concession of access or movements of goods. The SARC [Syrian Arab Red Crescent] were used as a proxy to control and spy on us and contain us. The following month (April 2014) 75 per cent of food aid delivered from inside Syria went into government-controlled areas. 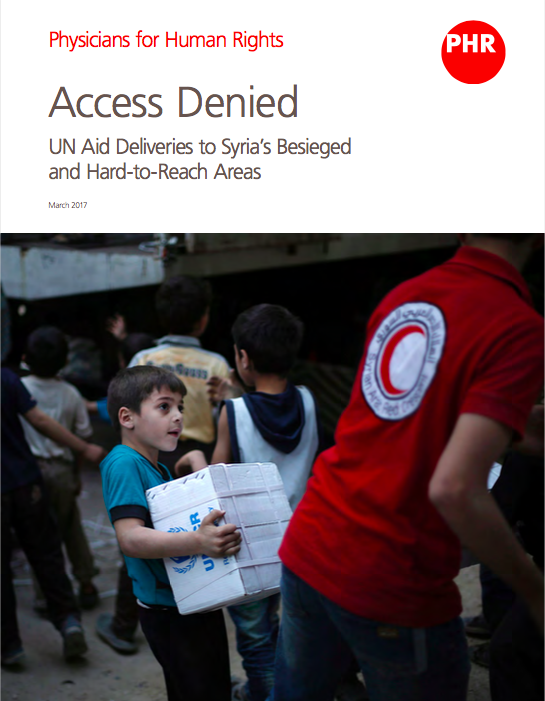 Two years later (April 2016) 88 per cent of food aid delivered from inside Syria went into government-controlled territory; once cross-border deliveries from Iraq, Jordan, Lebanon and Turkey were taken into account – now authorised by further UN Security Council resolutions – the (dis)proportion going into government-controlled territories fell to 72 per cent. But by April 2017 it had increased to 82 per cent. The effective subsidy of government areas releases resources that are likely used by the government in its war effort. The UN has enabled one side in the conflict to shift more of its resources away from providing for the needs of its people and into its military campaign. Conversely, the carefully calibrated restrictions placed by the regime on flows of goods through al-Wafideen into the Ghouta amounted to an assertion of continued control over the besieged population. 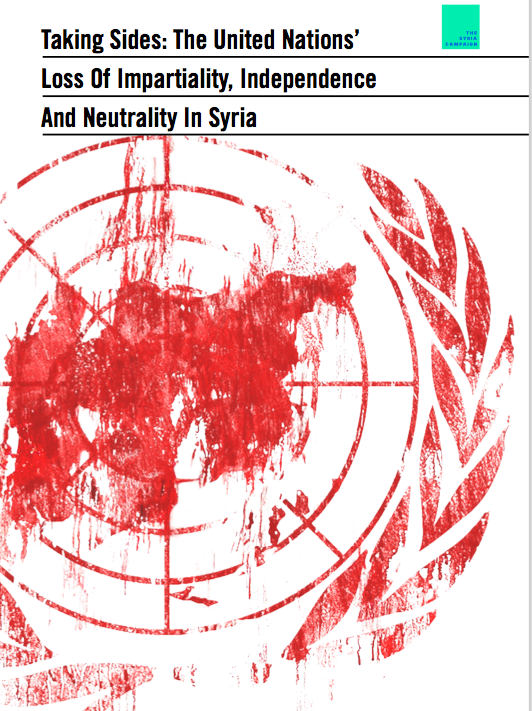 Esther Meinghaus [‘Humanitarianism in intra-state conflict: aid inequality and local governance in government and opposition-controlled areas in the Syrian war’, Third World Quarterly 37 (8) (2016) 1454-82] argues that in those areas where the regime was not able to maintain military control it exercised effective ‘humanitarian control’ by continuing to dictate the parameters within which the population lived (and died). In consequence, like Esther, José Ciro Martinez and Brett Eng [‘The unintended consequences of emergency food aid: neutrality, sovereignty and politics in the Syrian civil war, 2012-15’, International Affairs 92 (1) (2016) 153-73; also available here] describe besieged areas like the Ghouta as spaces of exception. 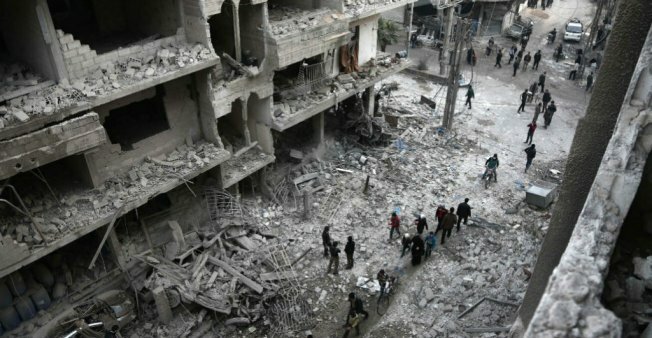 They reveal a persistent attempt by the Assad regime to separate those ‘included in a juridical order and those stripped of juridical-political protections – a separation between life that is politically qualified and one that is “bare” or naked.’ But as José and Brett emphasise, actors inside the Ghouta (and outside) have repeatedly called into question the actions of the Syrian government and its allies and sought to confound them. The political salience of those counter-strategies is itself compromised, they insist, by treating humanitarian aid as a ‘neutral’ and essentially technical matter of alleviating physical distress and deprivation – the register within which UN agencies conceive their interventions – because that is to become complicit in the reduction of besieged populations to ‘bare life’: ‘Those receiving assistance are valued strictly in terms of their biological life not their political voice’ (p. 165). Throughout this essay I’ve written about ‘the administration of precarity’ because – following David Nally‘s wonderful example – the siege economy was administered by multiple actors whose regulations and restrictions made them responsible for delivering precarity to the besieged population. That the Assad regime and its allies had a direct interest in doing so followed directly from their strategy of ‘surrender or starve’, and there was an elaborate web of exactions and extortions reaching from the highest levels of the state down to the foot soldiers who controlled the checkpoints and crossings. The rebel groups were involved too, but they had a more direct interest in the subterranean smuggling economy, levying fees in cash or in kind on flows through the tunnels to boost their coffers and secure their own supporters. But the United Nations and its agencies were also culpable in acceding to the demands of the Assad regime, allowing it to funnel most humanitarian aid to areas under its control and condemning the civilian populations in besieged areas to half-chance lives of ever increasing precarity. Yet precarity does not mean passivity, and a ‘siege economy’ is always more than a political economy: it is also and always what E.P. Thompson would have called a moral economy. The rebel groups in the Ghouta were chronically incapable (or uninterested) in finding common ground, and their support amongst the besieged population was uneven and variable. As the siege wore on, protests against their exactions and impositions – and the infighting amongst them – multiplied. For all that, many (and probably most) civilians remained opposed to the Assad regime, and we should remember too that the war emerged out of the violent response of the state to peaceful protests by ordinary people in the Ghouta and elsewhere calling for democratic reforms. This matters because as I worked on this essay – watching the videos, reading the reports, unearthing the testimonies – I became aware of an extraordinary resilience and communal solidarity forged within the population. I think of the ingenuity of the rooftop farmers, the fuel distillers, and the makers of gauze and medicines; the dedication of the doctors, nurses, ambulance drivers and rescue workers faced with so many grievously wounded and seriously ill people; the courage of mothers sharing blankets and what little food they had and singing songs and sharing stories as they huddled with their children in the crowded basements sheltering from the bombs and missiles (see here). Over the past five years, Ghouta has faced terrible violence including the sarin gas chemical attack that took the lives of hundreds in their sleep. And despite it all they have taught the world a lesson in courage and resilience. When the regime lost control of Ghouta its people built new forms of local governance and held free elections for the first time in Syria’s history. When the bombs started falling on neighbourhoods its teachers and doctors took schools and hospitals underground and ordinary residents put on white helmets and rushed to rescue their friends and neighbours. The people of Ghouta launched inspiring civil society projects, often women-led. They created new media platforms and produced award-winning photojournalism. They created alternative energy resources and introduced new farming techniques. But after this latest, relentless onslaught, people were truly left with no choice. If they remained in Ghouta they risked being detained and tortured as the Syrian regime closed in, particularly the ones who decided to teach, treat the wounded, or post updates to Facebook. So now many are leaving behind everything they’ve ever known to go to a place that isn’t that much safer. 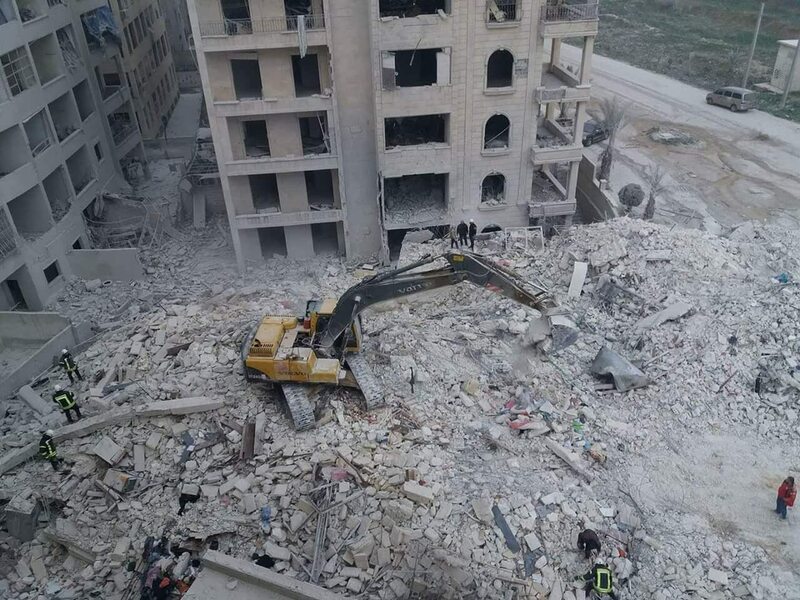 The province of Idlib, home to more than two million, is also being struck from the air by the Syrian regime and its Russian ally. If only the ‘international community’ had been even half the community created by these brave men and women. This is the first of a two-part post, in which I return (at last!) to a promissory note I issued last year about siege warfare in Syria. My return is prompted by a series of reports about the catastrophic situation in Eastern Ghouta (a suburb of Damascus) and Idlib. 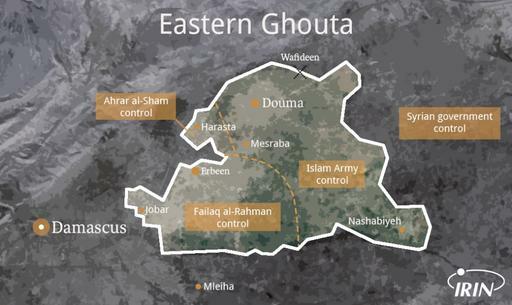 First, Eastern Ghouta, which has been under siege by the Syrian Arab Army and its allies since April 2013. 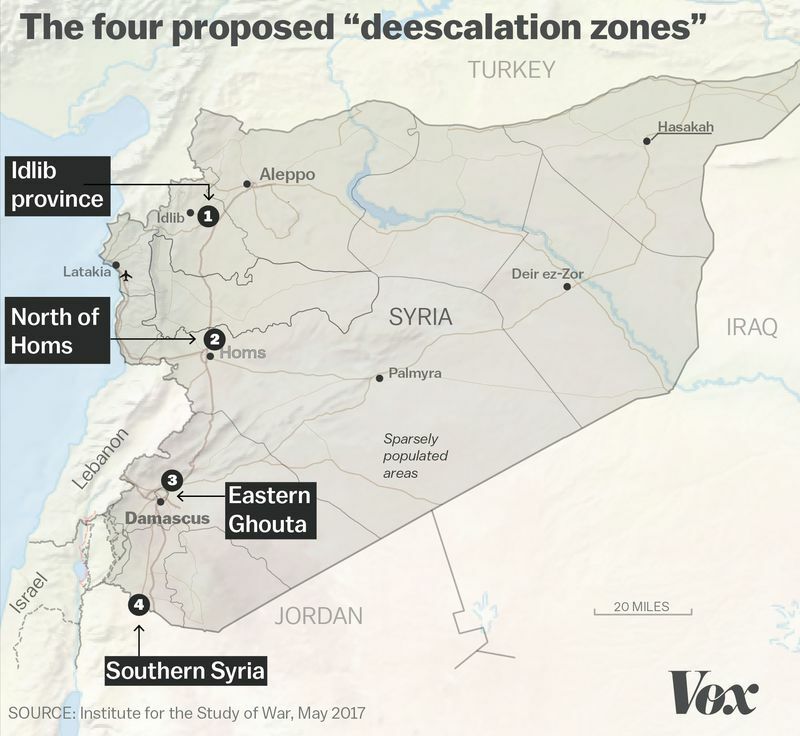 Most of Eastern Ghoutta was designated as one of four ‘de-escalation zones’ (see map above) under an agreement reached in May 2017, in which aerial violence and all other hostilities would be suspended for six months and humanitarian aid would be allowed across the siege lines. In September, just as the Eastern Ghouta’s de-escalation zone was finalized, the situation abruptly worsened. After ordering a halt to the already heavily restricted commercial traffic through the Wafideen crossing [see map below: more here and here], the Syrian government refused to permit any more UN aid missions. It was a transparent attempt to stoke the humanitarian emergency in Eastern Ghouta, but this time the effect was more severe than during previous rounds of food cuts. 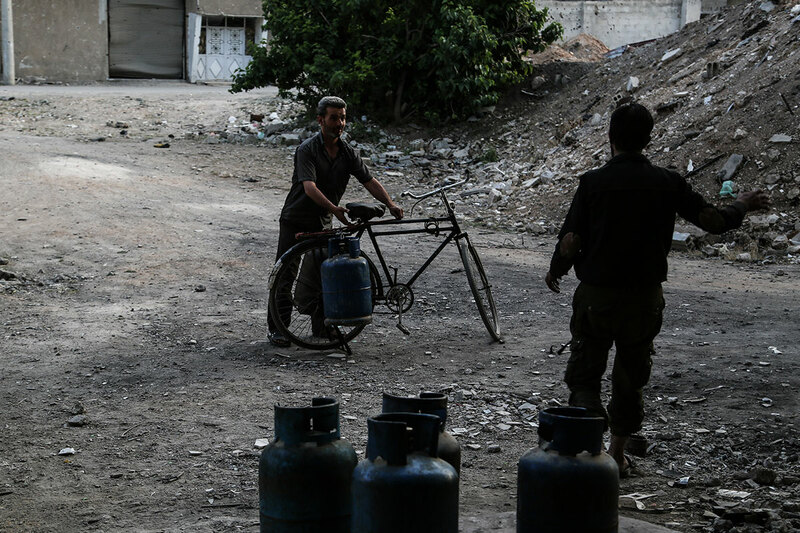 With the rebel trading tunnels out of commission for half a year, smuggling could no longer compensate for the shortfall or bring in medicine or basic necessities like fuel, which has not entered the Ghouta since February. Food stockpiles dwindled quickly and triggered a scramble for whatever remained available on the market, the panicky mood inflamed by suspicions that rebel-connected businessmen were hoarding goods for speculation purposes. From August to October, the already high prices inside Eastern Ghouta increased fivefold, far beyond any other region of Syria. 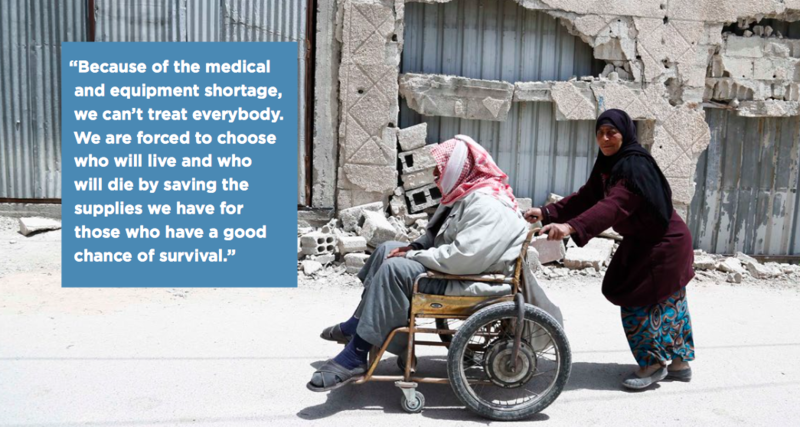 Six months ago a very detailed evacuation plan was delivered to the government for needy cases of evacuation, on medical grounds from eastern Ghouta. Since then, names have been added regularly and it is now, we now have a revised list of 494 names. There are among them 282 cases that need] specialized surgery, specialized treatment, specialized investigations that [they] cannot get inside. There are 73 severe cancer cases, 25 kidney failure cases and 97 heart disease cases [that are] very concerning, five acutely malnourished children that need to be evacuated, six acute mental health cases etc. Siege warfare involves not only closure of movement across the lines for those inside; it also involves opening the zone to violence from the outside. The assault on Eastern Ghouta has provided ample evidence, but the second case is even more instructive. Russian and Syrian jets bombed towns and villages across north-west Syria on Monday, devastating civilian areas and forcing fresh waves of refugees to flee to open ground in the biggest aerial blitz on opposition-held areas since the fall of Aleppo more than a year ago. Monitoring groups said as many as 150 airstrikes were recorded in Idlib province by Monday, with dozens more pounding up to 18 towns across the region by nightfall. Residential areas bore the brunt of the strikes, which severely damaged at least two major hospitals, and levelled dozens of buildings in which panicked locals had taken shelter. Refugees and locals say they fear that Idlib has been transformed into a kill box, with the international community paying scant regard to their fate, as regional powers, Russia, Turkey and Iran all vie for influence in a vital corner of the country. The main hospital in Maaret al-Numan [above: this was the largest hospital in Idlib], east of Kafr Nabl, has stopped working after it was hit by air strikes, according to the civil defence – also known as the White Helmets. 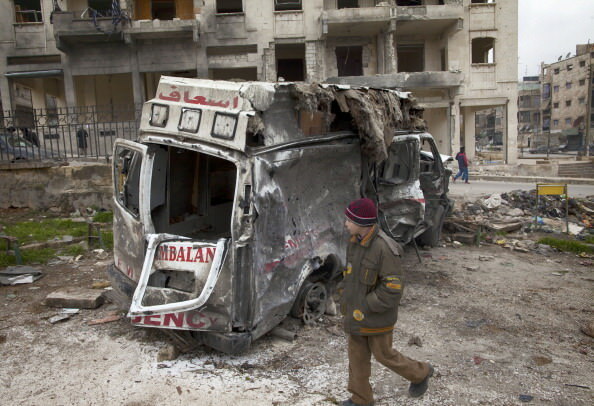 “About 10 air raids hit the hospital. It was a disaster,” said Hadi, who had rushed to the scene.”The most difficult and heartbreaking scene was when the volunteers were quickly pulling the babies out of the hospital. I can’t get the image out of my head,” he recalled with a trembling voice. With all these horrors in mind, in my second post I’ll turn to the back-story. You can find other dimensions to the critique of siege warfare in Susan Power, ‘Siege warfare in Syria: prosecuting the starvation of civilians’, Amsterdam Law Forum 8: 2 (2016) 1-22 here or Will Todman, ‘Isolating dissent, punishing the masses: siege warfare as counterinsurgency’, Syria Studies 9 (1) (2017) 1-32. 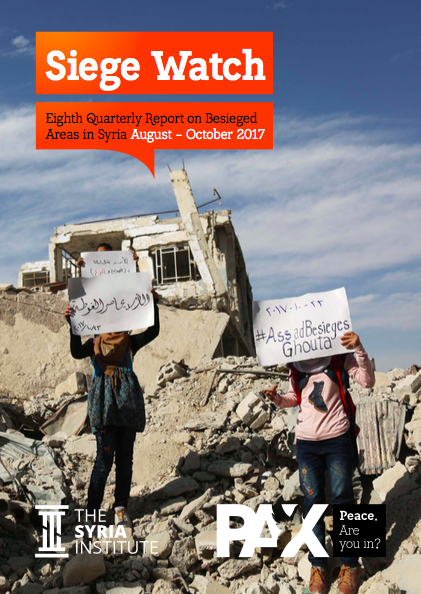 There’s also a series of important quarterly reports from Siege Watch; these started in February 2016, and the most recent covers August-September 2017 and includes a detailed analysis of both Eastern Ghouta and Idlib. I plan to approach the issue through one of my favourite books, Steve Graham‘s Cities under siege. Steve’s object was what he called ‘the new military urbanism’ but the situation in Syria – and elsewhere: think Mosul in Iraq (see, for example, here: scroll down) or Israel’s endless sieges of Gaza (see, for example, here) – demonstrate the extraordinary capacity of later modern war to combine cutting-edge technology (never has that adjective been more dismally appropriate) with medieval cruelty. There is another difference; for all Steve’s analytical passion – and empathy – the voices of those inside the cities under siege are largely silent, yet in Syria (again: and elsewhere) digital media allow us to listen to them and to witness their suffering. More soon. 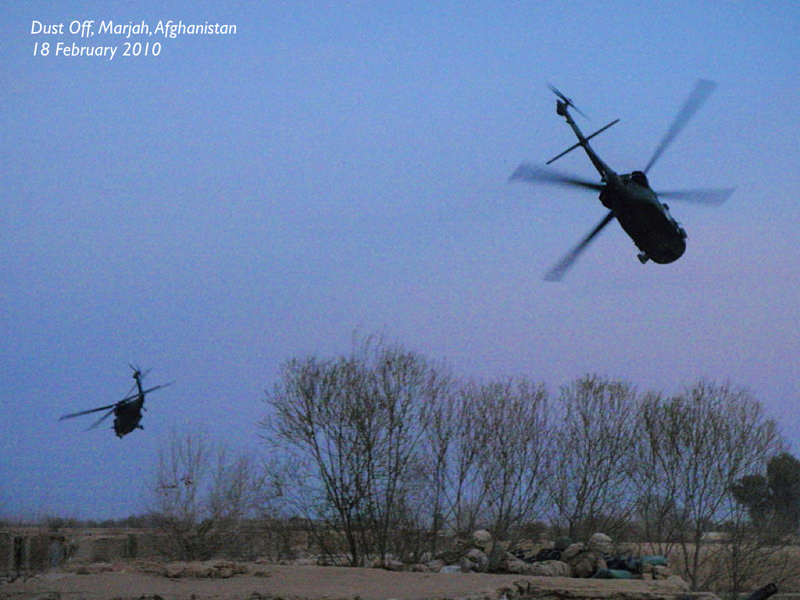 One of the cardinal principles informing modern casualty evacuation is the Golden Hour. 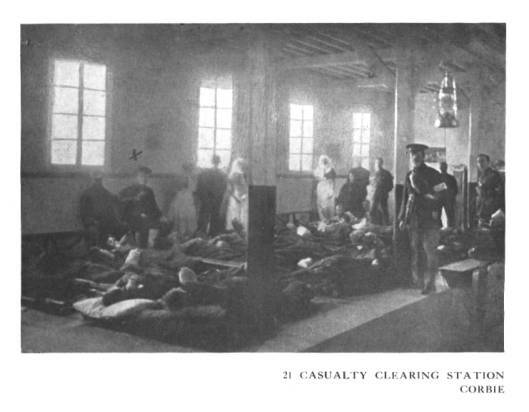 In 1975 R. Adams Cowley, founder of Baltimore’s Shock Trauma Institute, argued that ‘the first hour after injury will largely determine a critically injured person’s chances for survival.’ It’s not a straightforward metric, and combat medical care and evacuation has been transformed since it was first proposed, but the rule of thumb is that the chances of survival are maximised if the time between traumatic injury and definitive care is kept to 60 minutes or less. They worked on Fye a long time, and the longer they worked, the more anxious Fye got about the precious minutes slipping away. “I don’t hear the bird,” he said, over and over. They wrote the time of the tourniquet application on the white headband Fye wore under his helmet. Hopkins pushed morphine into his veins. Eventually, an eon since Hopkins arrived but only twenty-five minutes after the blast, the hyperactive thump of helo blades cutting air slowly emerged in the distance. Fye thought it was the most wonderful sound he had ever heard. 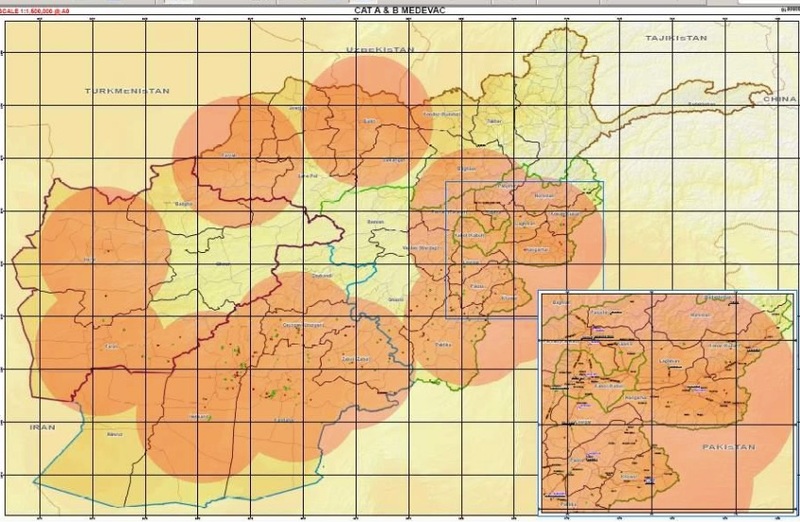 They were at the extreme limit of the NATO footprint, and so it was a sixty-kilometer flight to the main hospital at Kandahar [see map below]. If they moved quickly, Fye would just make it in the magic golden hour. 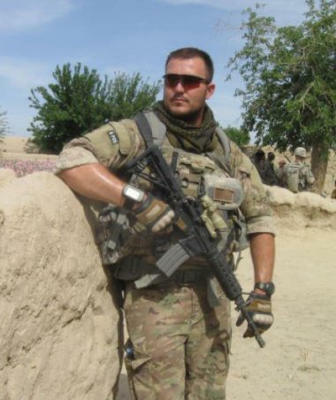 Over multiple radio calls between Hopkins’s platoon and the rescue operations center, his report of “bilateral amputation” had been converted, telephone-game style, into “bilateral lacerations.” The medical operations center had actually turned the rescue mission off; helos don’t fly for scraped knees. The bird that eventually picked up Fye wasn’t even a real medevac bird. That’s why the robotic flight crew ignored him, didn’t treat his wounds as they went. They weren’t medics. The helo pilots had just been in the air and happened to overhear the radio traffic, including the original call for help. They understood the mistake and had disobeyed orders to go get Fye. If the human pilot of that bird had been less stubborn, the golden hour would have been long past by the time Fye made it to KAF, and he could well have been one of the 1 percent. (More from Brian on medical evacuation here and here). 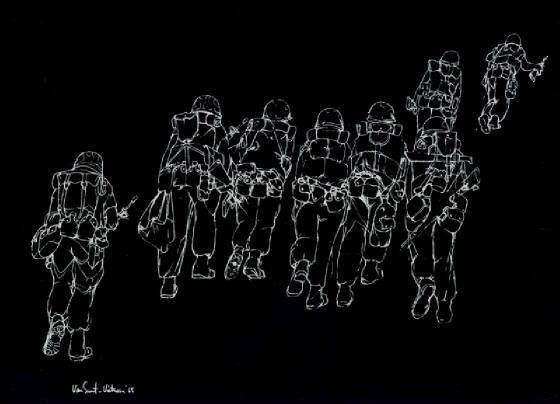 We won’t hear the battle in progress and work our way toward it as baggage trains of wounded, exhausted soldiers and civilians carrying their lives on their backs travel in the opposite direction. Our battle space – and perhaps it’s a cliché now – will occur in a 360-degree, three-dimensional environment. 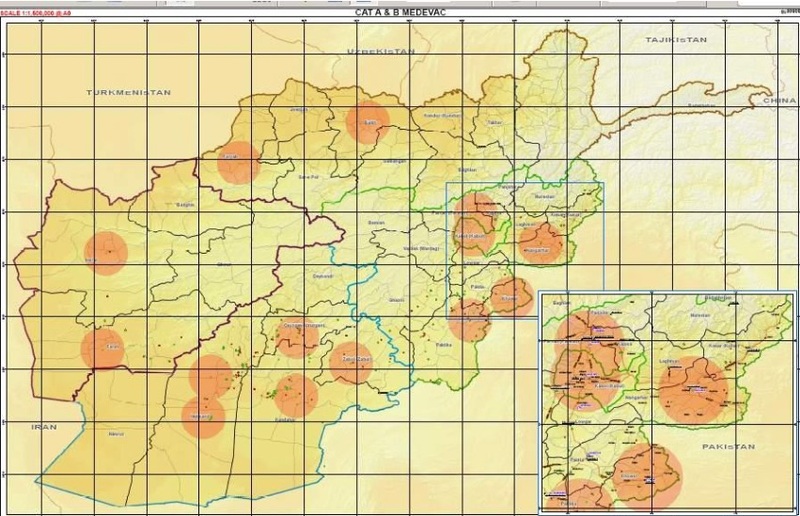 The tactical geometry for the current operating environment is based upon security forces holding areas of ground and securing this space from opposition activity. This converts the battlefield from the conventional force-on-force linear geometry with an identifiable confrontation line to an area battlefield with multiple nodes of contested space. 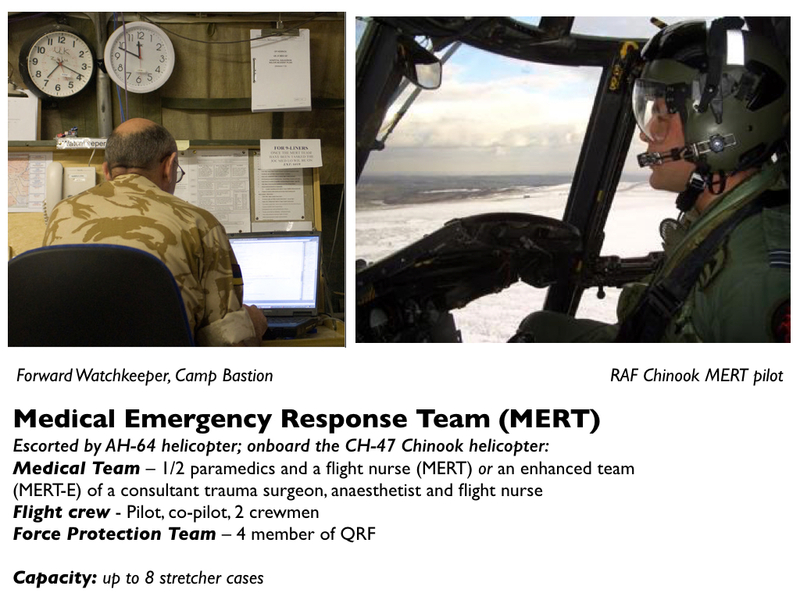 Thus the MEDEVAC mission is converted from a linear flow to area support, hence MEDEVAC planning is based upon a ‘range ring’ coverage with a radius of 40–60 nautical miles. 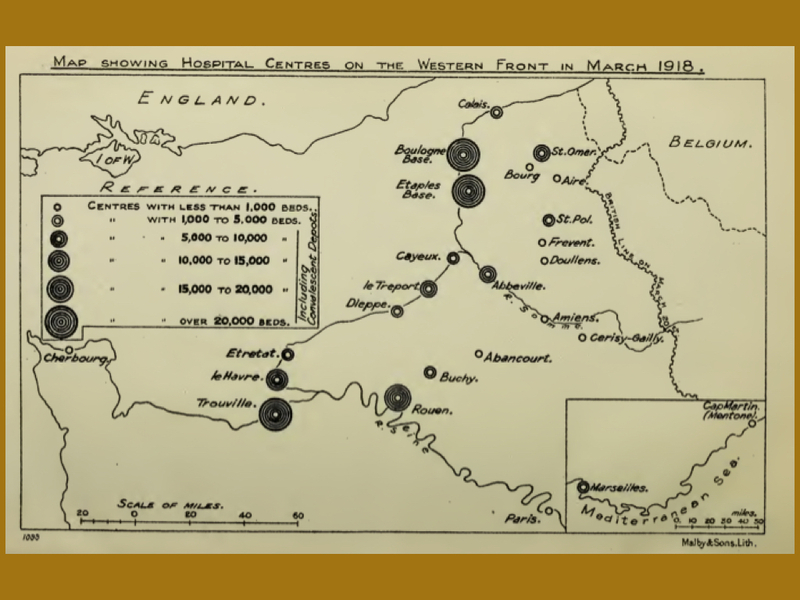 In practice, the situation was more variable than these maps imply – not least because there was a significant difference between the ways in which American and British contingents organised medical evacuation. The response time was usually longer but the MERT enabled advanced trauma care to begin as soon as the patient was onboard. For 4,500 cases of US military casualties with detailed data the study showed a substantial change in the CFR following the Secretary of Defense’s mandate to evacuate casualties within 60 minutes: as the median evacuation time fell from 90 minutes to 43 minutes the CFR fell from 13.7 to 7.6; before the mandate 25 per cent of casualty evacuation missions fell within the Golden Hour, after the mandate the proportion soared to 75 per cent. ‘Secondary effects resulting from the mandate that contributed to achieving the mandated time included stream-lined authority and helicopter launch procedures, increased number and dispersion of Army helicopters, and the addition of Air Force helicopters to assist with the Army prehospital transport mission. As decreased time from critical injury to treatment capability was the underlying goal, personnel with increased expertise (blood transfusion protocol-trained basic medics, critical care paramedics, and critical care nurses) were trained and assigned to prehospital flights more routinely, resulting in earlier availability of blood products and other advanced care. The program must be willing to turn the doctrine of fixed or traditional echelons of care on its side and innovate for scenarios in which Level II and III care is performed aboard transport vehicles (land-, air- or sea-based) or within local structures of opportunity. 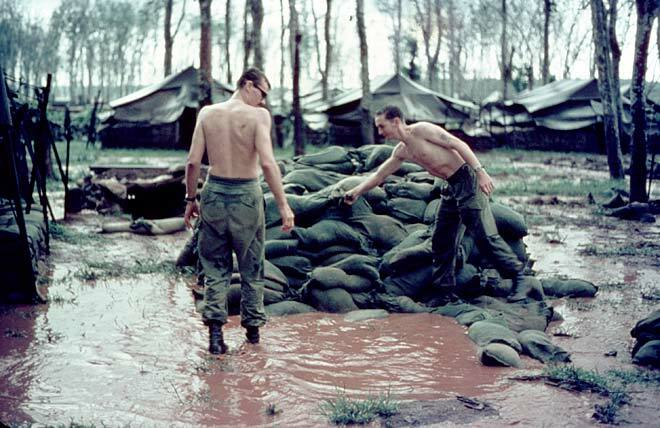 In such circumstances, field care may be prolonged, lasting for days or even weeks. 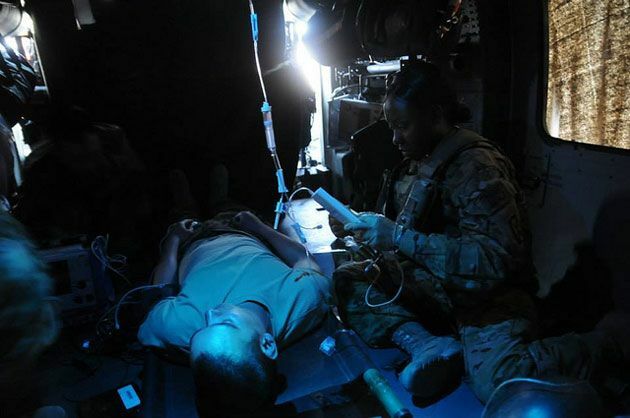 Combat casualty care research with these complex scenarios in mind promises to enhance resuscitative capability for injured service personnel regardless of environment, leveraging communications networks (i.e., telementoring) and targeted resupplies of materials. 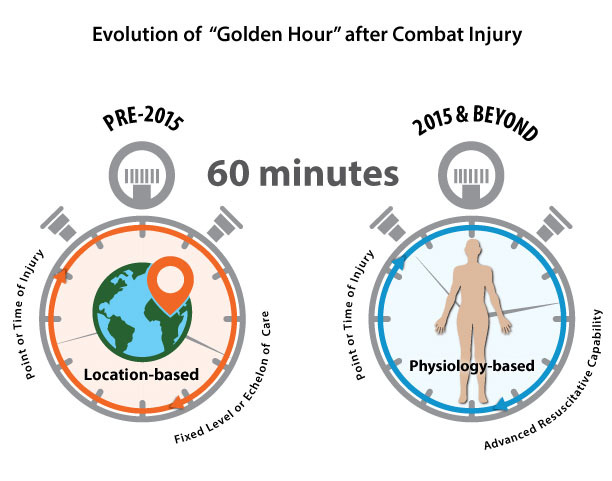 In the future, CCCRP must focus on transforming the concept of the golden hour into one bound not by the time to reach traditional echelons of care or fixed facilities, but the time until enhanced resuscitative capability can be delivered to the injured troop, regardless of location or need for transport. There are two riders to add. 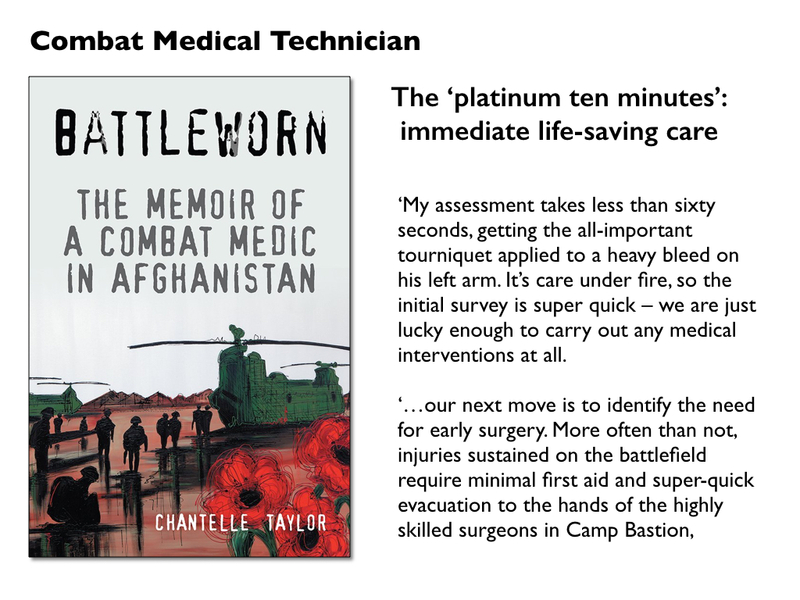 First, embedded within the Golden Hour are ‘the platinum ten minutes’: the imperative to stop bleeding (which has led to the re-emergence and re-engineering of the tourniquet) and to control the casualty’s airway within 10 minutes of wounding. Under the dim light of a single bulb, a local Afghan policeman lay severely injured, slipping in and out of consciousness. 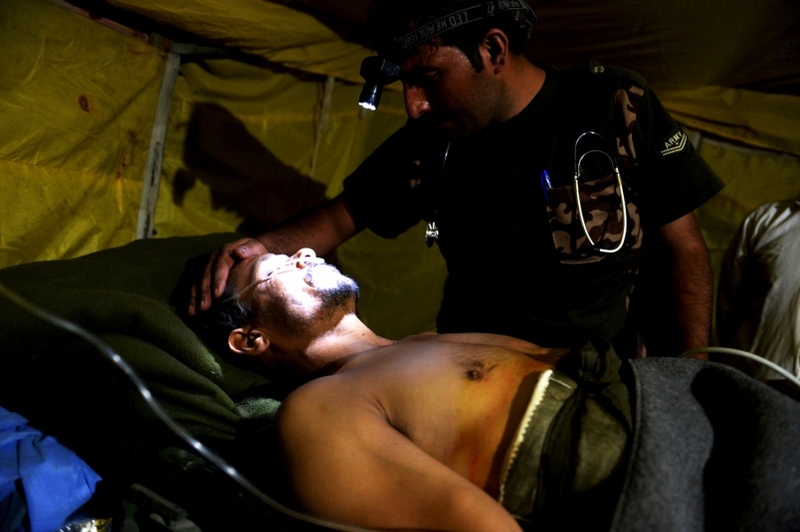 A military doctor reported to an Afghan army brigade commander that the man was unlikely to live through the night. Despite the doctor’s pleas, the commander stood firm. 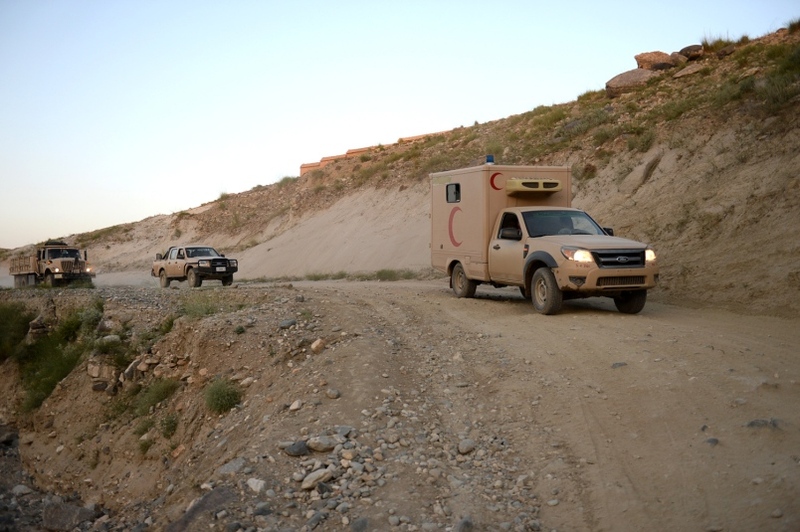 The army could not spare any soldiers or ambulances [below] to make the five-hour drive to a better hospital at that late hour through territory teeming with Taliban ambushes and roadside bombs. 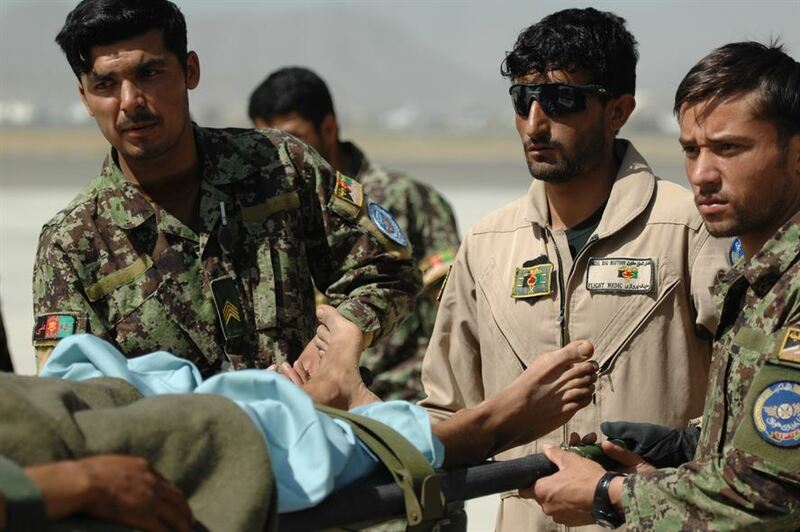 The lack of speedy evacuation is a tragically common problem for the rising number of Afghan police and soldiers being injured on the battlefields of Afghanistan. U.S. advisers have worked to help close the capability gap, but mostly behind the scenes, far from the battlefields where many Afghan troops say they increasingly feel alone. Although the American forces still stationed in the country have conducted more than 200 airstrikes since their combat mission was declared over at the end of 2014, as of July, U.S. military aircraft had not flown a single conventional medical evacuation mission, according to data released by the U.S. Air Force Central Command. U.S. military officials say they haven’t flown evacuation missions because they haven’t been asked. 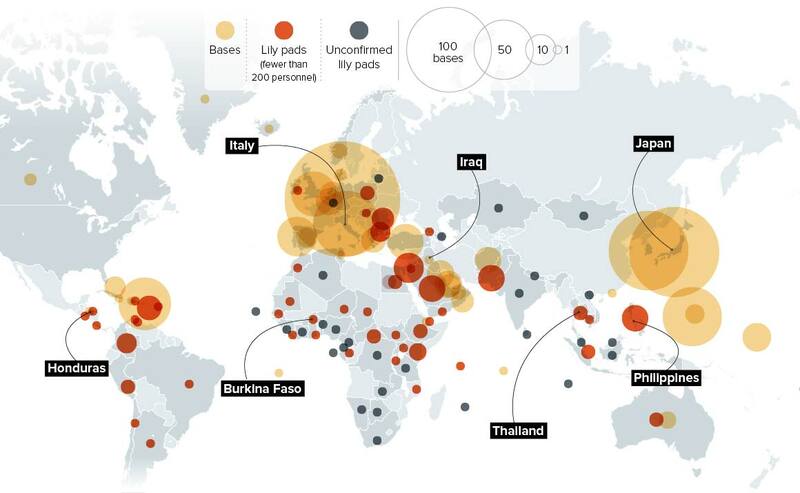 Also, there are far fewer American resources available for such missions now. The difference shows up in the ratios of those killed and those who survived their wounds. 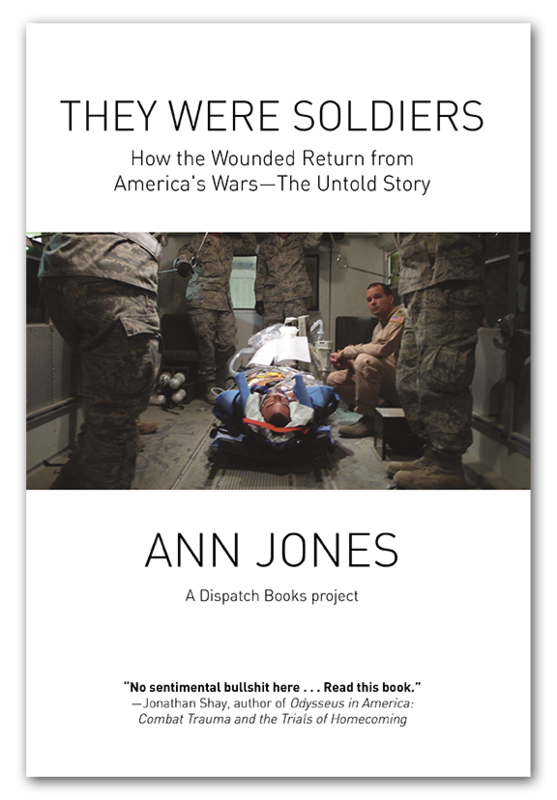 About 2,363 Americans have died in Afghanistan, with a little more than 20,000 wounded, a ratio of roughly 1-to-10. In the first half of 2015 alone, 4,302 Afghan soldiers and police were killed in action and 8,009 more were wounded, a ratio of about 1-to-2. 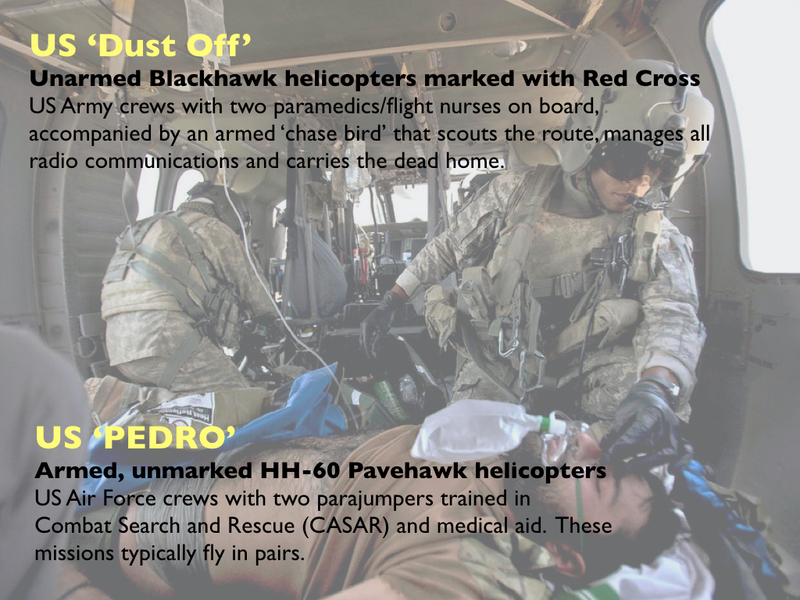 The time it takes to fly patients to hospitals varies depending on the point of injury, but it can take between 90 minutes and two and a half hours to fly an aeromedical evacuation mission in a C-208, plus one hour to transfer patients from Kandahar to Kabul in a C-130. And the situation for Afghan civilians – as I explored in detail in ‘The prosthetics of military violence‘ – is still worse. This is not a problem confined to Afghanistan: think of how the possibility of the Golden Hour recedes in urban combat zones subjected to artillery fire and bombing – the difficulties faced by first responders in Gaza or in the ravaged, rubble-strewn towns and cities of Syria (see also Annie Sparrow‘s report here). And there is no guarantee of safety even once casualties reach hospital since the principle of medical neutrality is now being routinely and systematically violated. 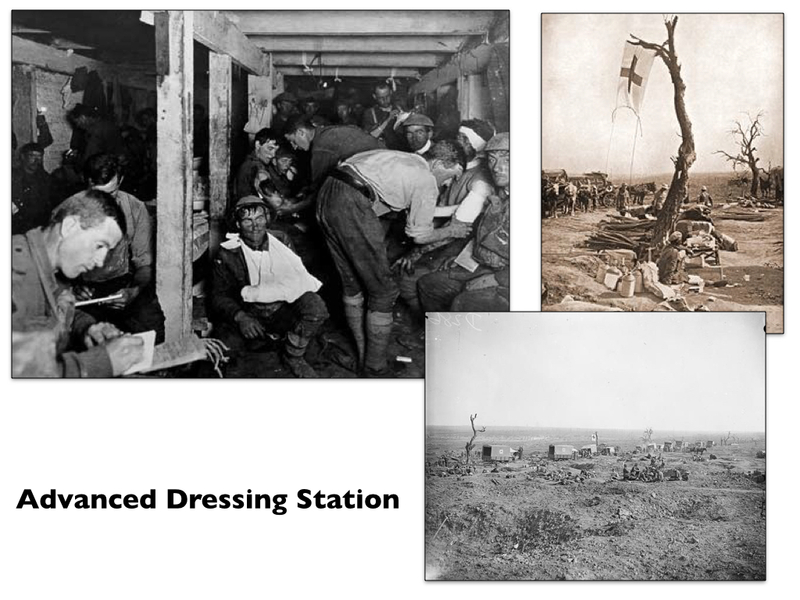 My main presentation at the AAG in Chicago was part of a session organised by Noam Leshem and Alasdair Pinkerton on Remnants of No Man’s Land: history, theory and excess (more on their larger project here). Here is an extended summary of what I had to say, together with some of my slides, but bear in mind that this all had to be done in 20 minutes so there wasn’t much room for nuance. 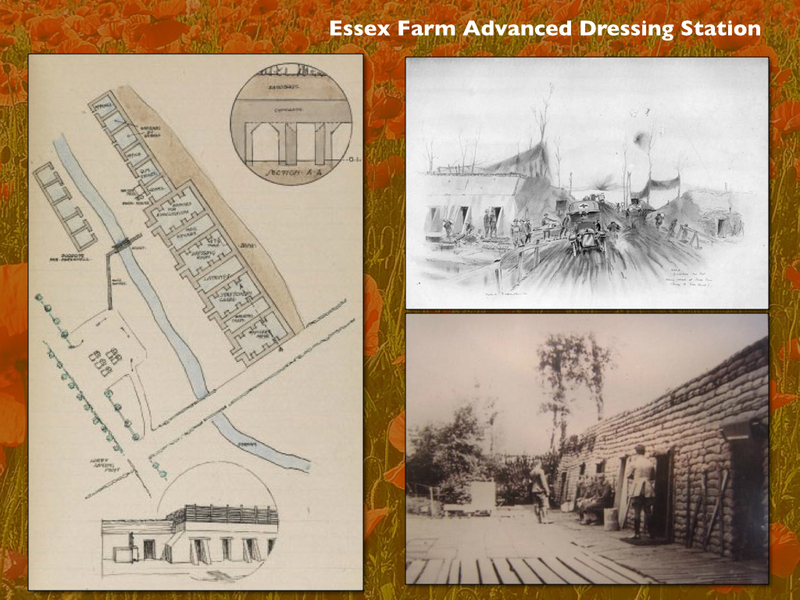 Neither was there time to discuss civilian entanglements, both volunteers and victims, nor the sick: the presentation focuses on the wounded, even though the problems of trench foot, ‘trench flu’, and a host of other diseases were also extremely important. They do all receive attention in the larger project from which this is extracted. One last, geographical qualification: my discussion is limited to the evacuation of British and imperial troops from the Western Front. 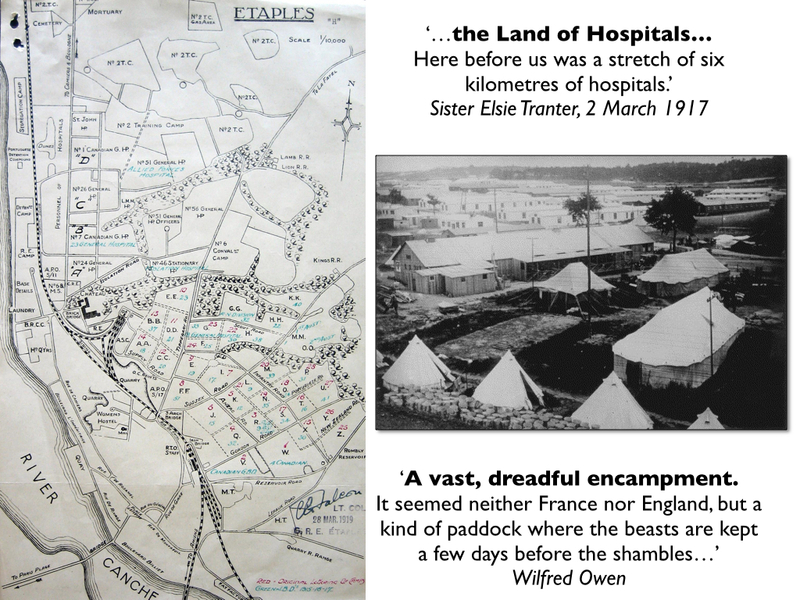 My starting-point was the strange disappearance of the wounded from the field of battle. As John Keegan wrote in The Face of Battle, in most histories the ‘wounded apparently dematerialize as soon as they are struck down’; he was writing specifically about General Sir William Napier’s account of the battle of Albuera in 1811, but the point is a sharp one that can be enlisted as part of a more general critique of military history. What lies behind those haunting lines – and that medical outpost – is a vast canvas of wounded men, which Christopher Nevinson captured as ‘The Harvest of Battle’ (below). 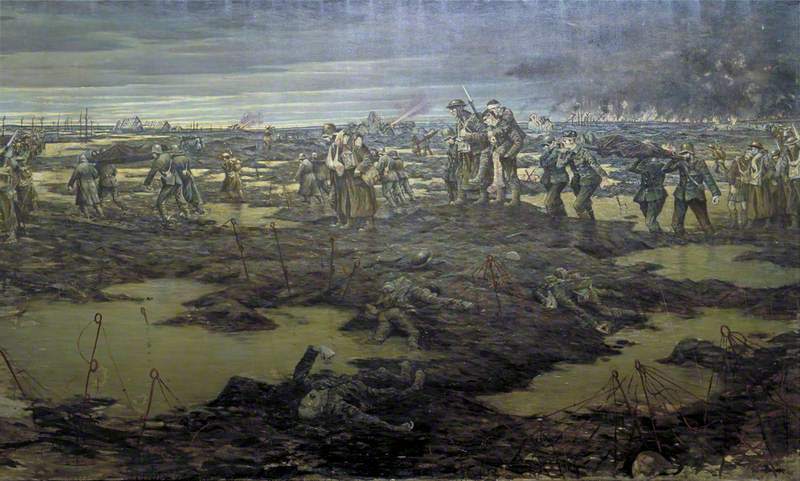 The dead occupy the foreground, but behind them is the endless, moving panorama of the wounded whose precarious journeys took most of them far beyond ‘No Man’s Land’. 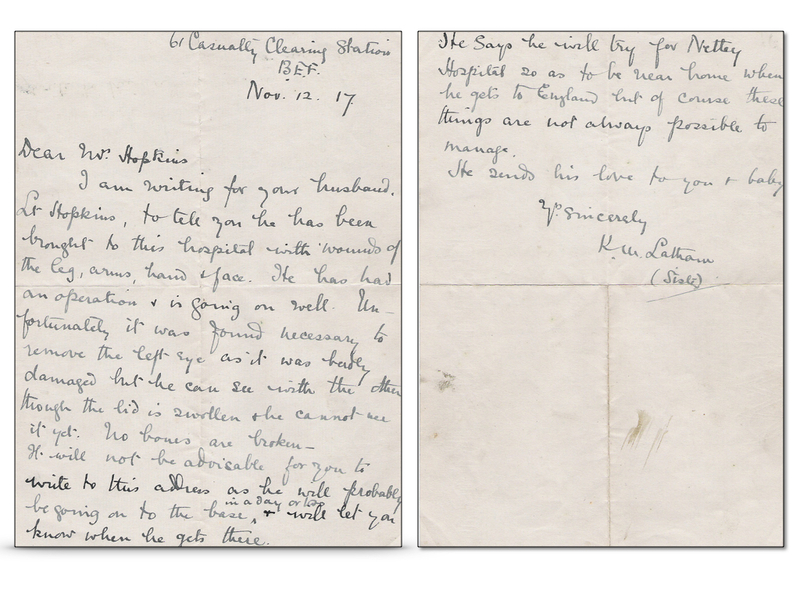 In fact, as Emily Mayhew reminds us, ‘being wounded was one of the most common experiences of the Great War’: on the Western Front, she writes, ‘almost every other British soldier could expect to become a casualty’. 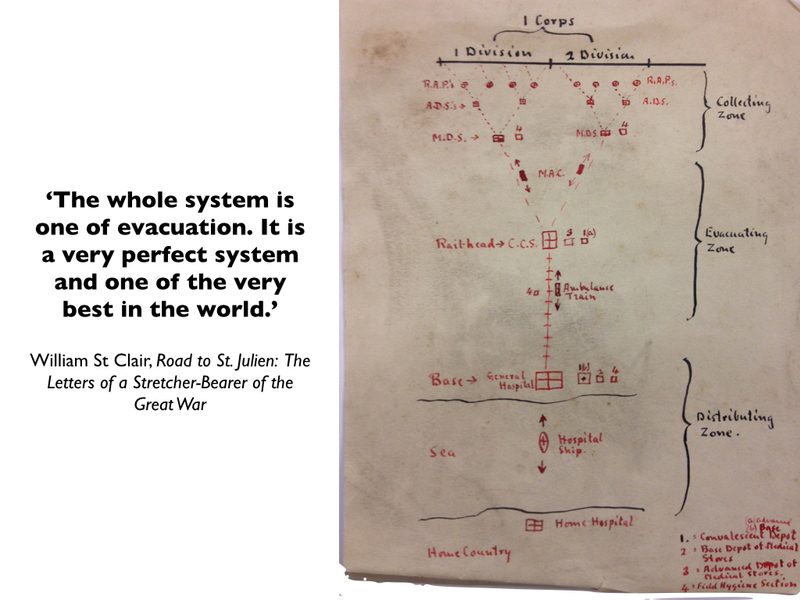 But, perhaps not surprisingly, for the first six months of the war the British Expeditionary Force was unprepared for the scale of casualties, and even with the help of civilian volunteers and aid societies – Nevinson briefly served as a medical orderly with the Friends Ambulance Unit, for example – the remarkably long time it took to evacuate the wounded combined with the perilous nature of their improvised journeys to increase the mortality rate. 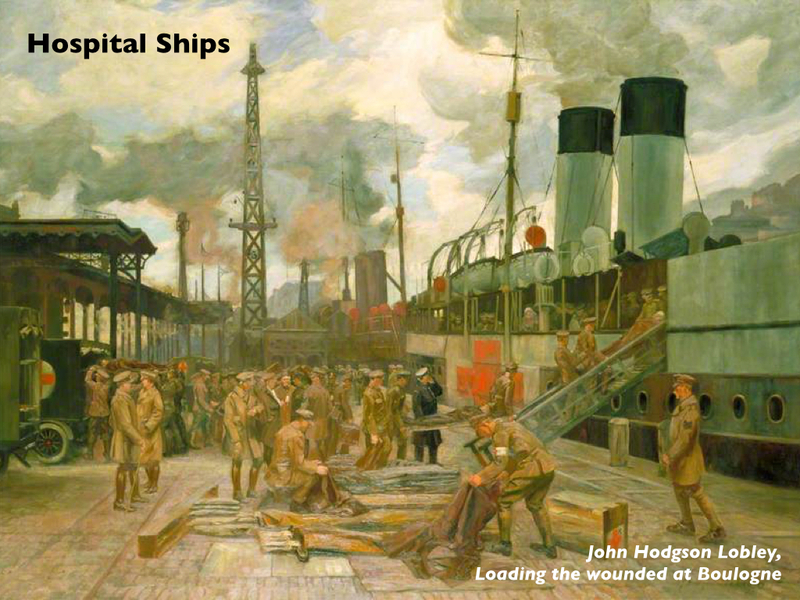 And so what Mark Harrison called the military-medical machine had to be speeded up – and moved closer to the field of battle. 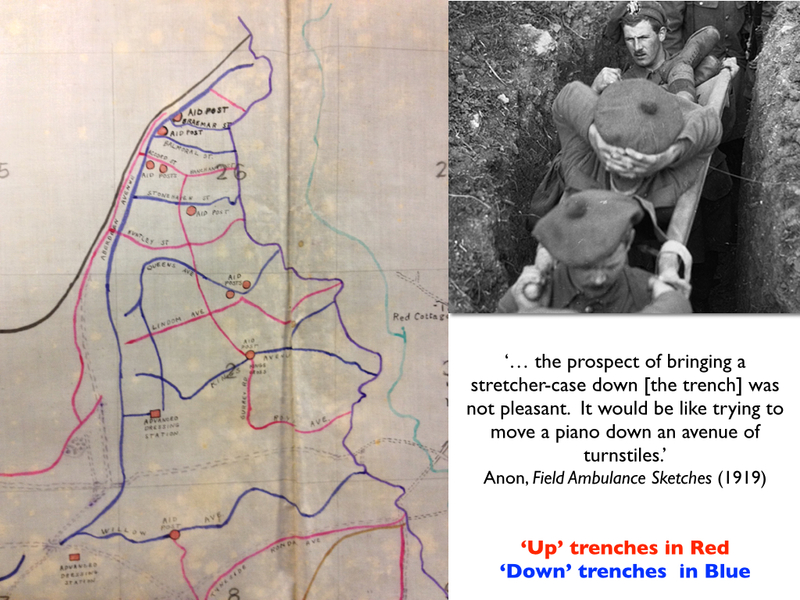 Before every major offensive elaborate plans for medical support were prepared: casualties were ‘cleared’ down the line as far and as fast as possible to make room for the newly injured, casualty clearing hospitals moved closer to the line, ambulances and stretcher-bearers made ready, and ‘down’ trenches designated for the efficient removal of the wounded (below). 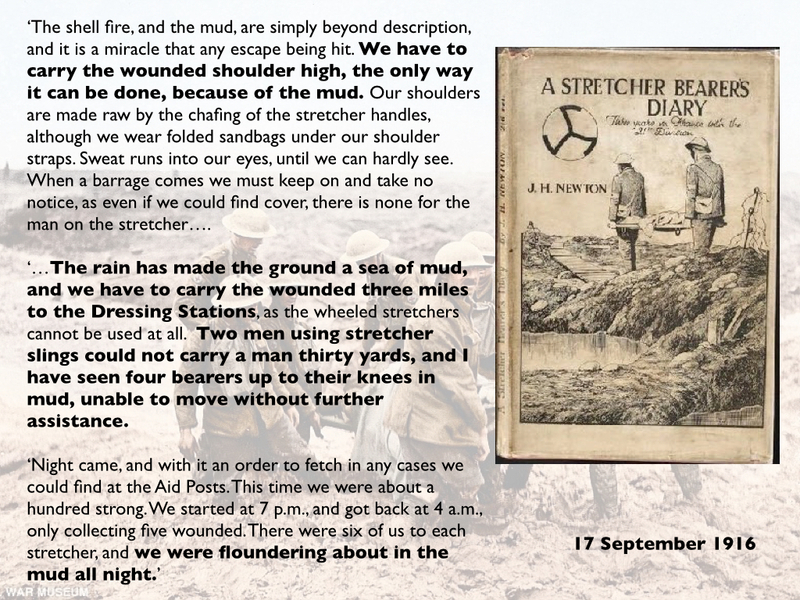 Soldiers wounded in ‘No Man’s Land’ – a term never recognised by the British General Staff, who insisted that they controlled the field of battle right up to the enemy front lines – were often immobilised and disoriented; some crawled into shell holes, seeking refuge below the field of fire, but it could take hours, even days before they were discovered and rescued (I’ll devote a later post to a detailed discussion of some of those cases). 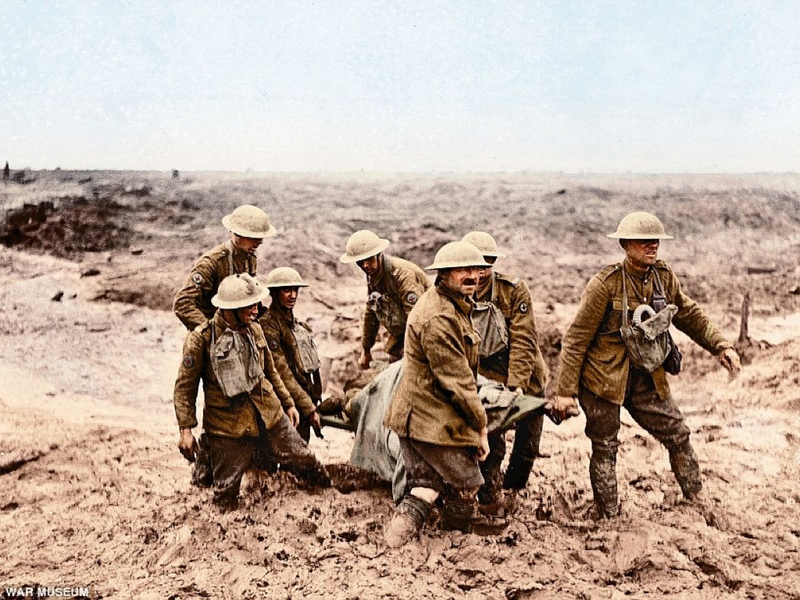 Sometimes their mates came to their rescue, sometimes the regimental stretcher bearers. 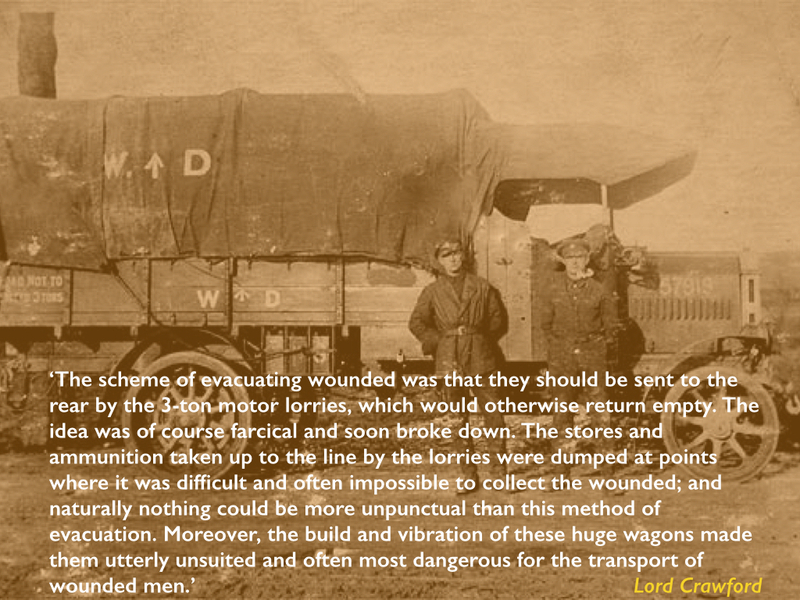 But they too had to find their way through a dangerous and devastated terrain, often with no landmarks to guide them and on occasion made virtually impassable by the thick, cloying mud that was always – disconcertingly – much more than mud. 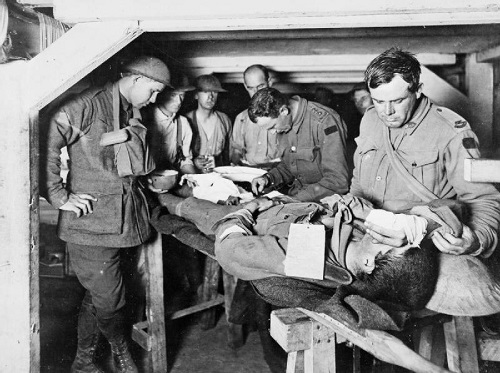 By now, they were in the care of the Royal Army Medical Corps’s Field Ambulance, and their first objective was an Advanced Dressing Station. 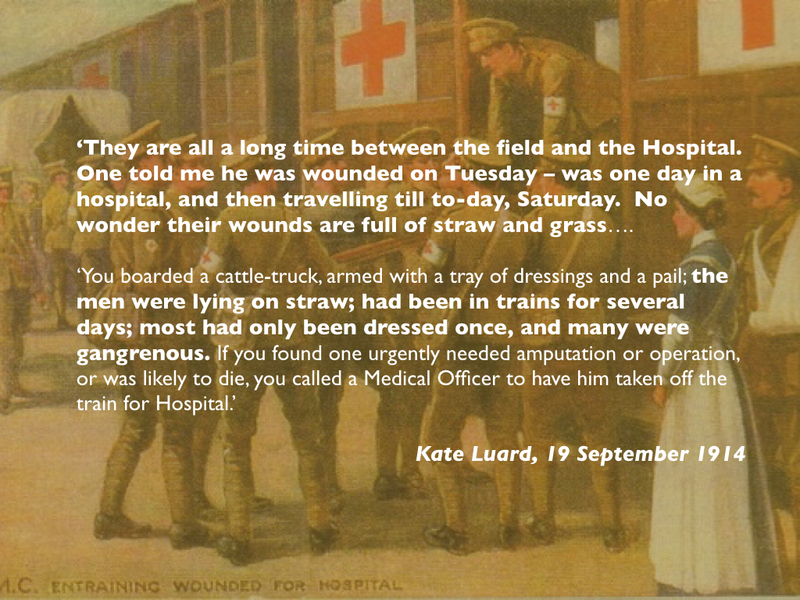 Those that needed anything beyond simple treatment or emergency surgery were sent on by horse or motor ambulance to a Casualty Clearing Station (a field hospital). 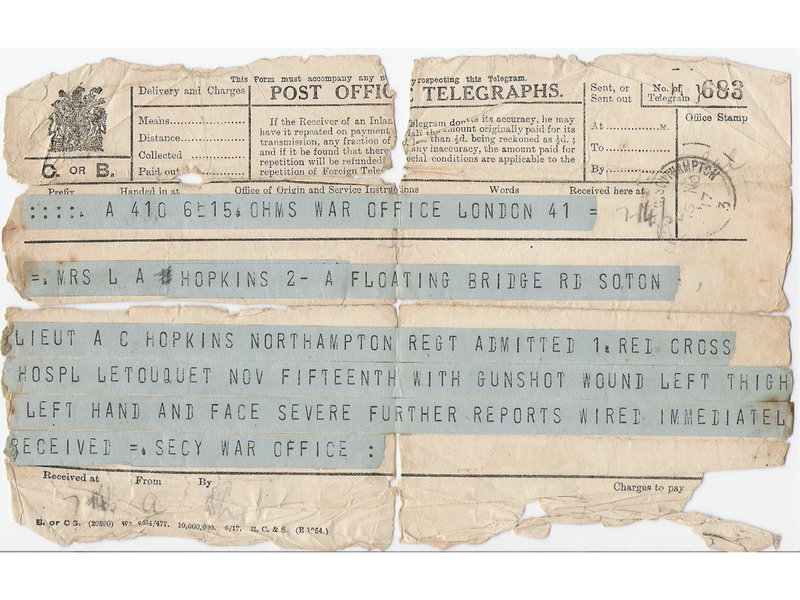 By now the bureaucratic machine had been activated: labels had been attached to the wounded and field medical cards (‘tickets’) completed; telegrams had been sent to advise families, and nurses had often written letters home on their patients’ behalf. 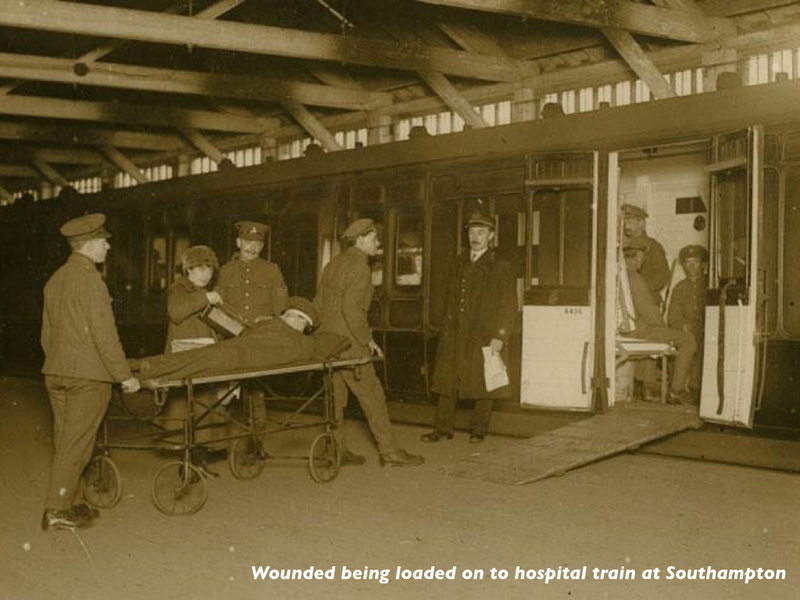 The next stage for the most seriously wounded was evacuation by ambulance train to a base hospital on the French coast. 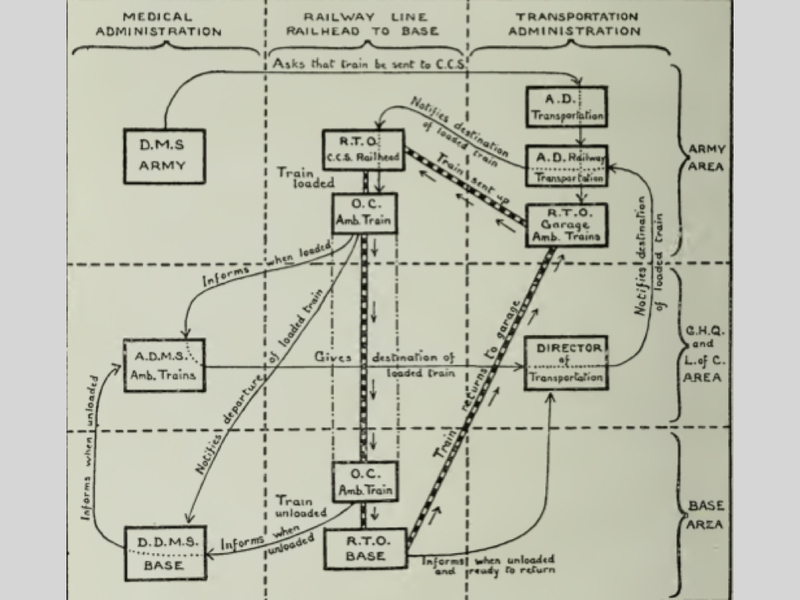 There was a considerable bureaucracy involved in planning these movements, but for all the neatness and symmetry of the organisational diagrams – part of Clausewitz‘s ‘paper war’ – there were all sorts of delays. 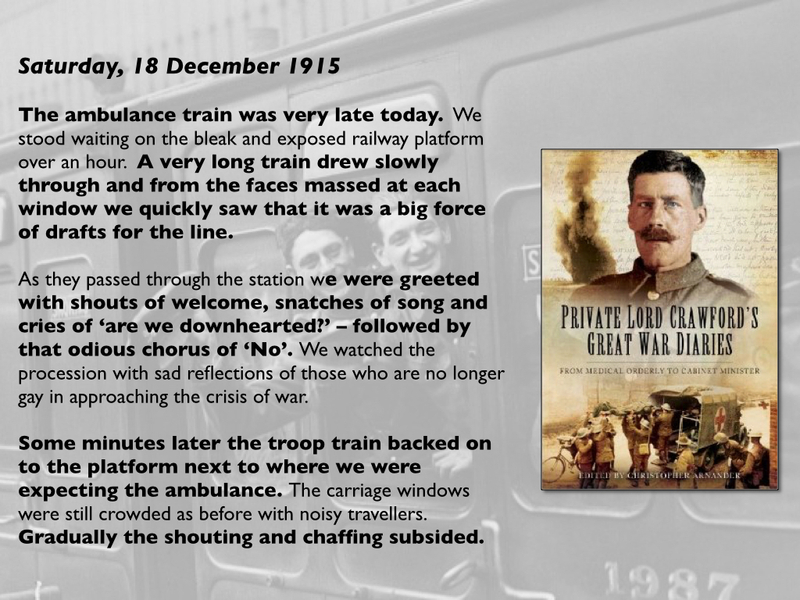 Priority was given to trains rushing reinforcements, supplies and ammunition to the front, and ambulance trains were frequently marooned in sidings waiting for them to pass so that journeys that might have taken hours could take days. 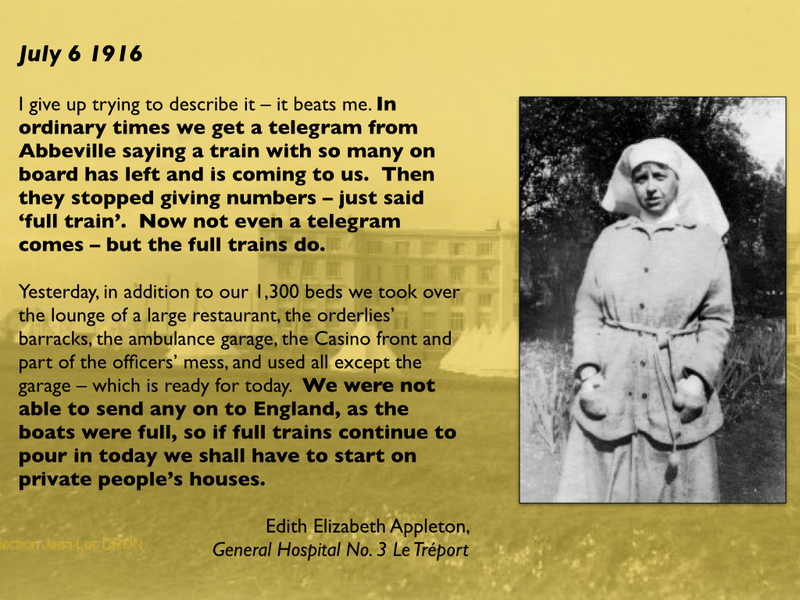 It was not uncommon for an ambulance train to arrive at a base hospital to find that there was little or no room for new patients and all but the most grievous cases had to travel on to the next. 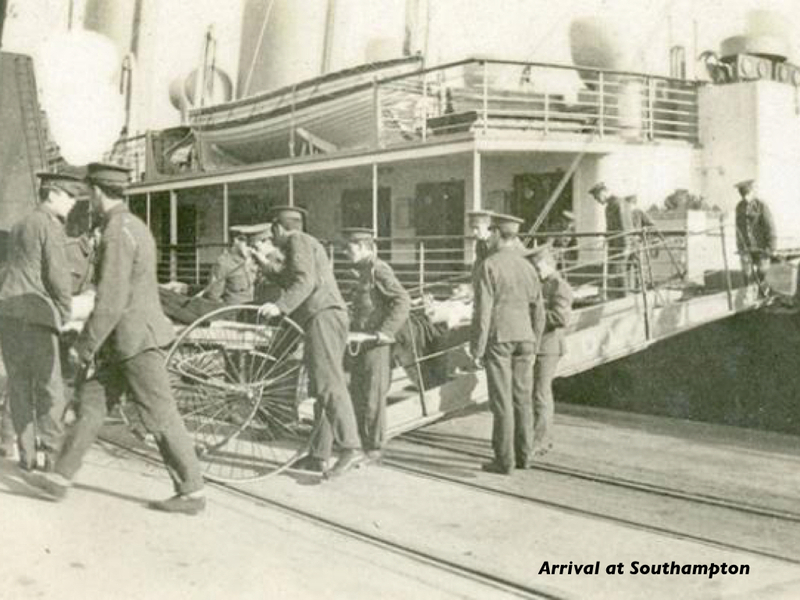 Many patients were treated at the base hospitals, but those with more serious wounds were evacuated by hospital ship to Britain. This stage of the journey was no less dangerous than the previous one: as the war continued, there was an increasing danger of mines and submarines in the Channel. This prompts two concluding observations. It may sound heartless and inhuman, but it is a fact, nevertheless, that from a military stand-point it is better for a man to be killed than wounded. If a man is killed he is buried, and the responsibility of the government ceases, excepting for the fact that his people receive a pension. But if a man is wounded it takes three men from the firing line, the wounded man and two men to carry him to the rear to the advanced first-aid post. Here he is attended by a doctor, perhaps assisted by two R.A.M.C. men. Then he is put into a motor ambulance, manned by a crew of two or three. At the field hospital, where he generally goes under an anaesthetic, either to have his wounds cleaned or to be operated on, he requires the services of about three to five persons. From this point another ambulance ride impresses more men in his service, and then at the ambulance train, another corps of doctors, R.A.M.C. men, Red Cross nurses, and the train’s crew. 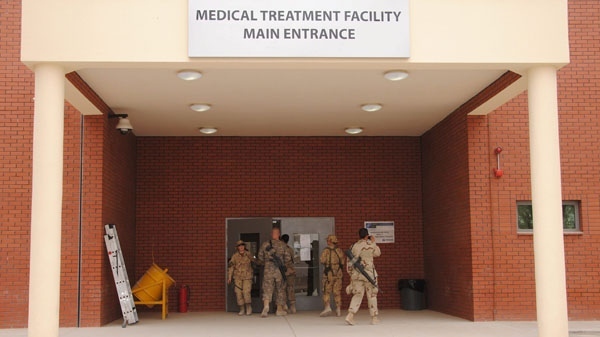 From the train he enters the base hospital or Casualty Clearing Station, where a good-sized corps of doctors, nurses, etc., are kept busy. Another ambulance journey is next in order — this time to the hospital ship. 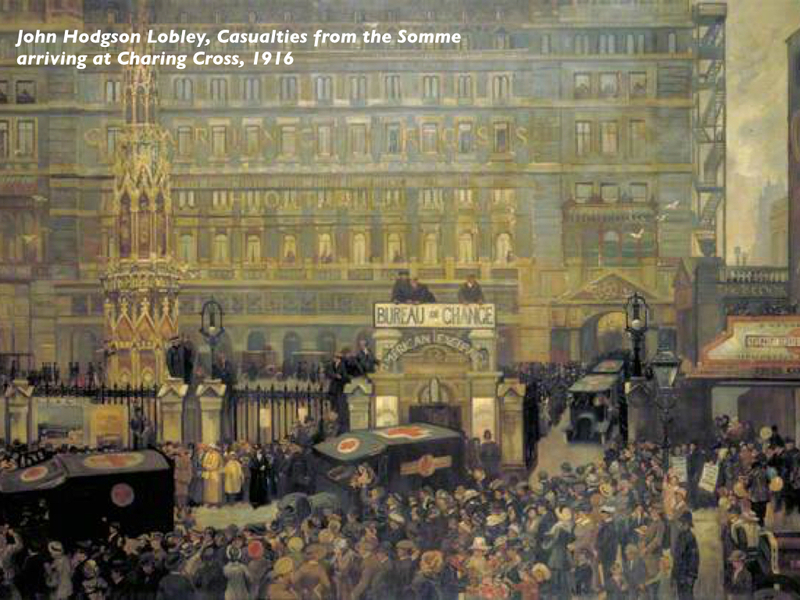 He crosses the Channel, arrives in Blighty — more ambulances and perhaps a ride for five hours on an English Red Cross train with its crew of Red Cross workers, and at last he reaches the hospital. Generally he stays from two to six months, or longer, in this hospital. 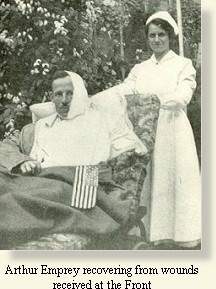 From here he is sent to a convalescent home for six weeks. If by wounds he is unfitted for further service, he is discharged, given a pension, or committed to a Soldiers’ Home for the rest of his life, — and still the expense piles up. When you realize that all the ambulances, trains, and ships, not to mention the man-power, used in transporting a wounded man, could be used for supplies, ammunition, and reinforcements for the troops at the front, it will not appear strange that from a strictly military standpoint, a dead man is sometimes better than a live one (if wounded). 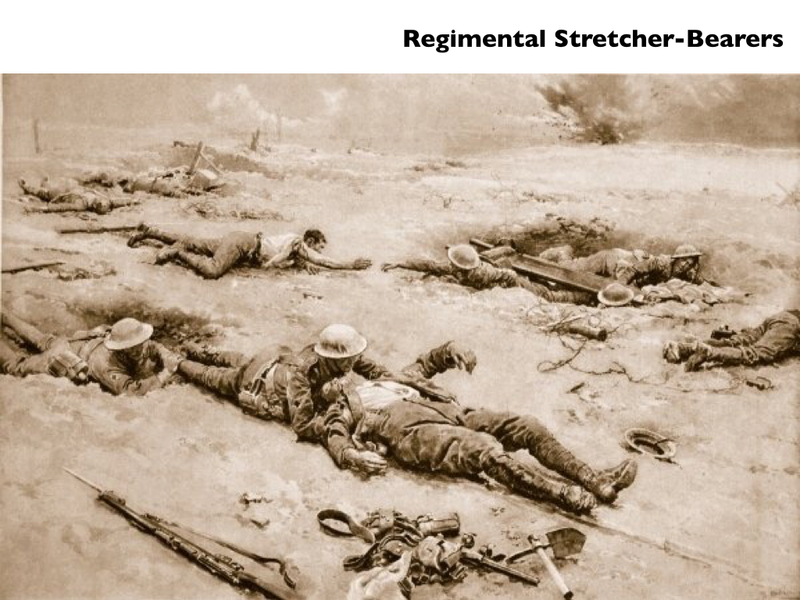 The instructions given to stretcher-bearers are rather harsh. 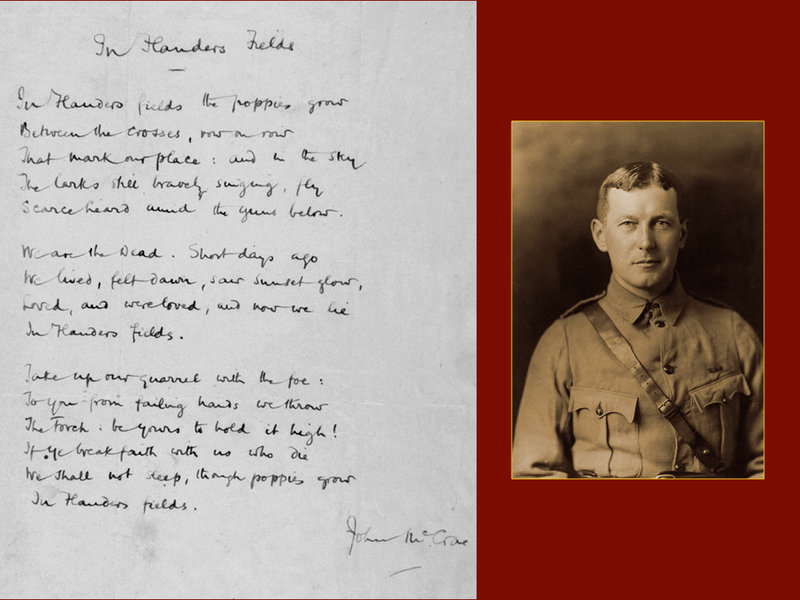 “ If you find two men wounded, and can take only one away, take away the one more likely to make a fit soldier again.” Therefore the one more urgently in need of attention must be left to die, because he would walk with a limp and would never again be able to carry a pack. Sound business, of course, but just a little hard. 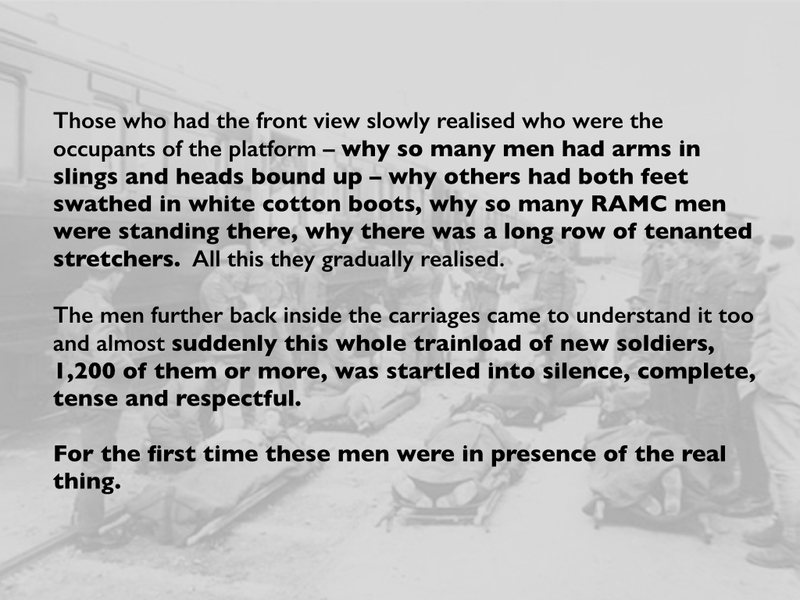 An ordinary train, similar to the one that had brought him to the front, was at one end unloading reinforcements, while at the other end it was filling up with wounded men. 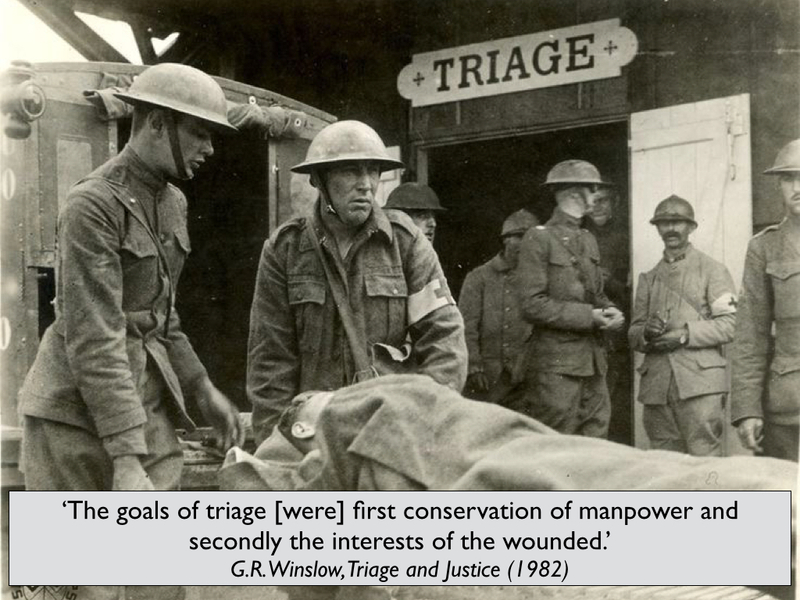 The logic, then, was one of ‘salvage’; four out of every five men wounded on the Western Front were returned to the fighting, which was the over-riding objective of the military-medical machine. 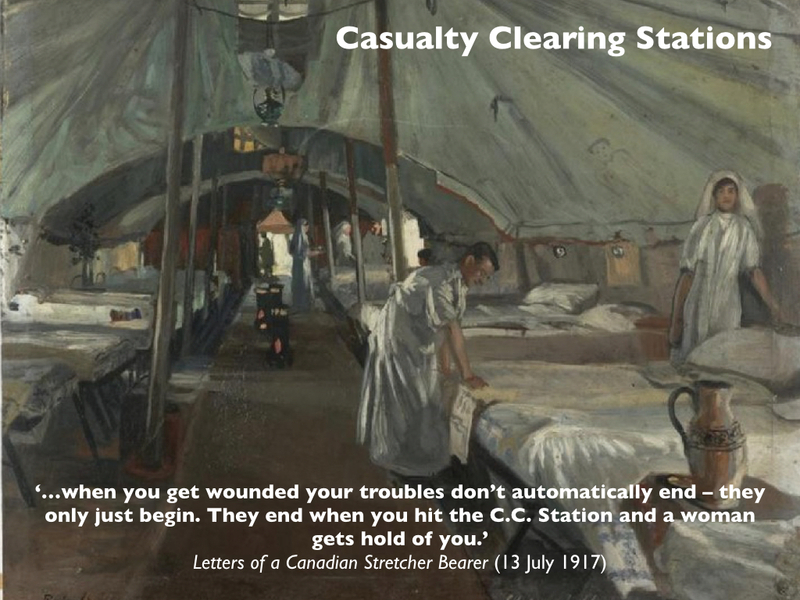 What started me on this journey was Emily Mayhew‘s brilliantly conceived Wounded and an excellent series of articles by Martin Bricknell in the Journal of the Royal Army Medical Corps: see in particular here. 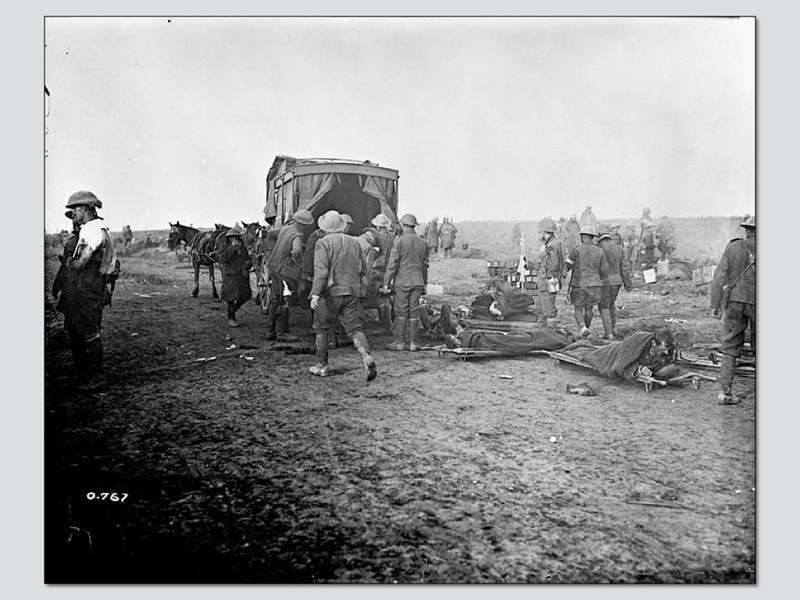 You can also find more on the casualty evacuation chain from the Western Front at Beyond the Trenches here and here, the Long, Long Trail here, the Medical Front here, and the Royal Army Medical Corps site here. 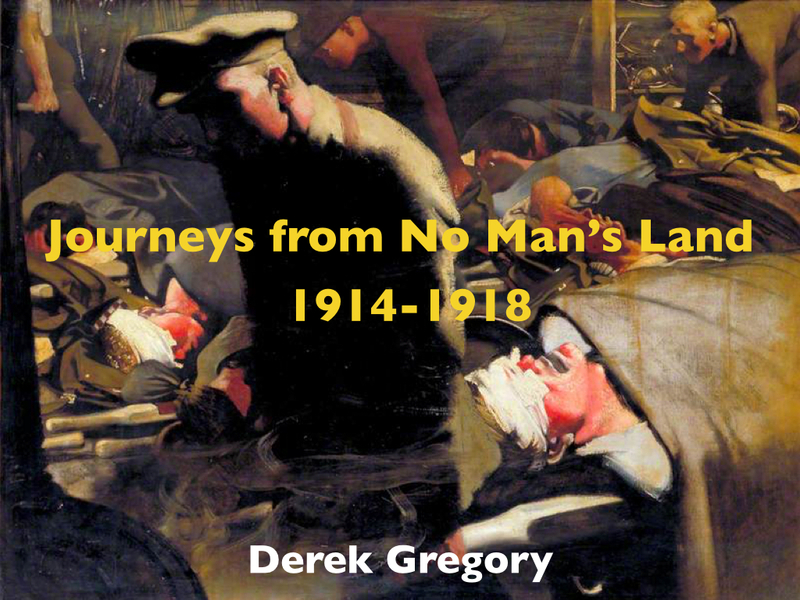 My larger project examines the evacuation of casualties, combatant and civilian, from four combat zones 1914-2014: the Western Front during the First World War, the deserts of North Africa during the Second World War, Vietnam, and Afghanistan.